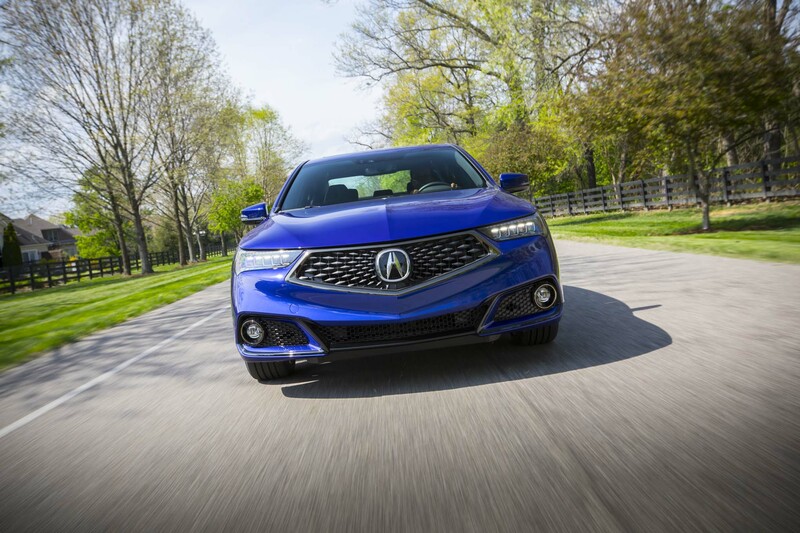 LOUISVILLE, Kentucky — While Acura has had its share of successes over the years it’s also no secret that Honda’s luxury arm has struggled to carve out its own identity. 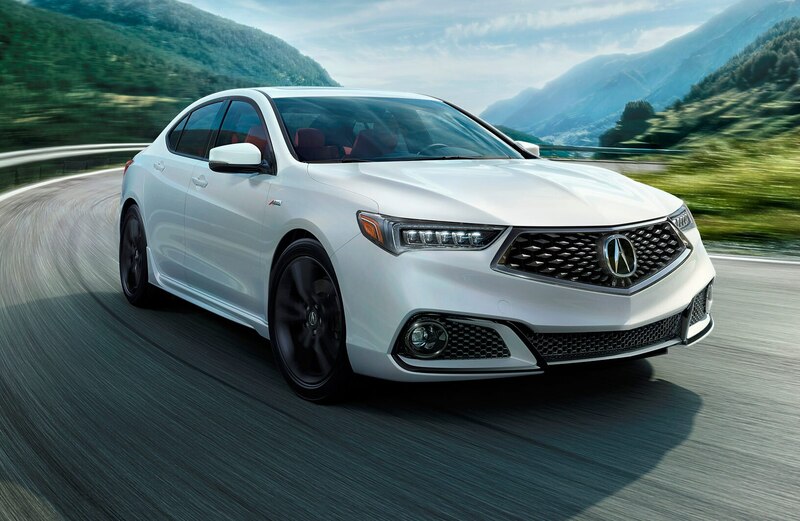 But thanks to the brand’s latest tagline, “Precision Crafted Performance,” and the buzz generated by its magnificent Acura NSX hybrid supercar (one of our 2017 AUTOMOBILE All-Stars) there’s renewed optimism and a sense of mission. 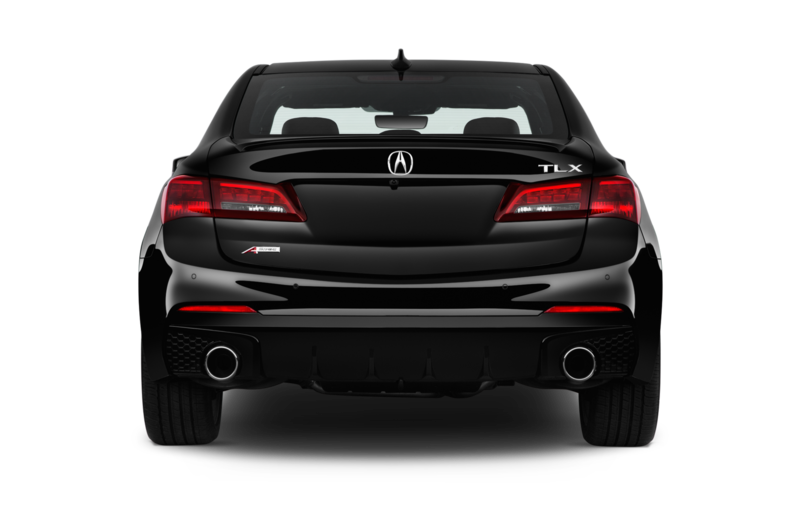 But slogans and an expensive, low volume super sports car will only get you so far. 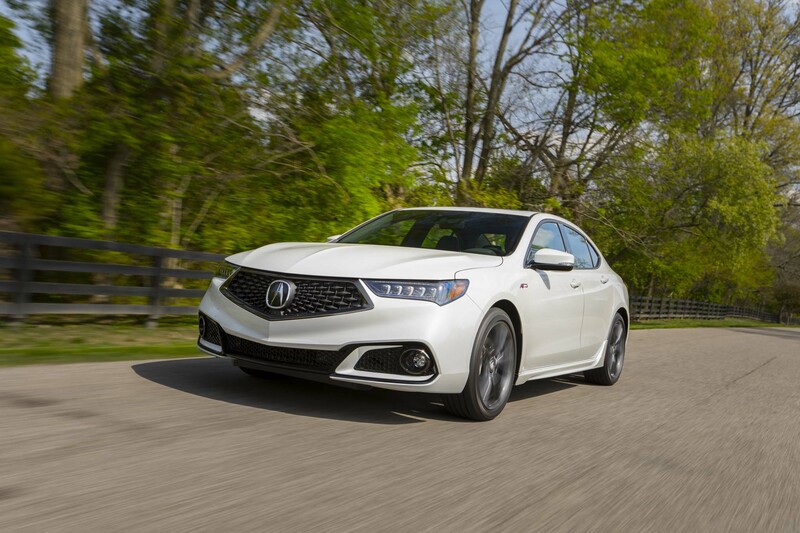 Acura has some work to do to its largely Accord-based lineup if it wants to be known for performance and craftsmanship. 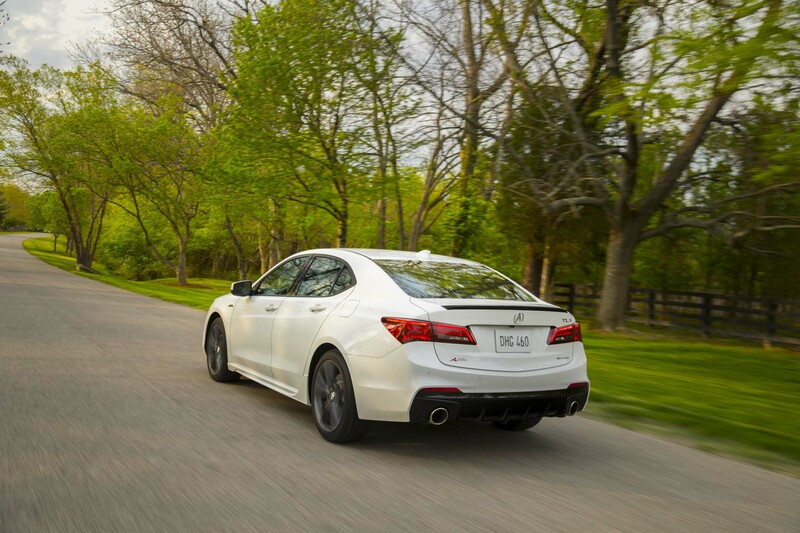 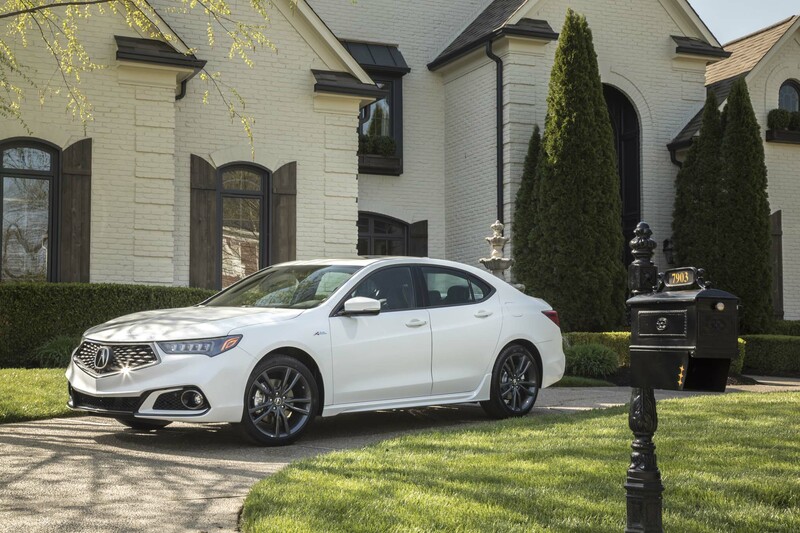 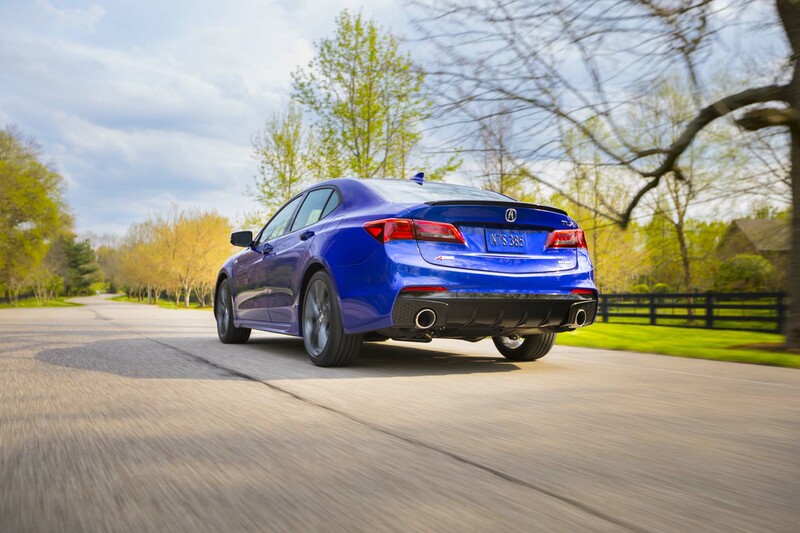 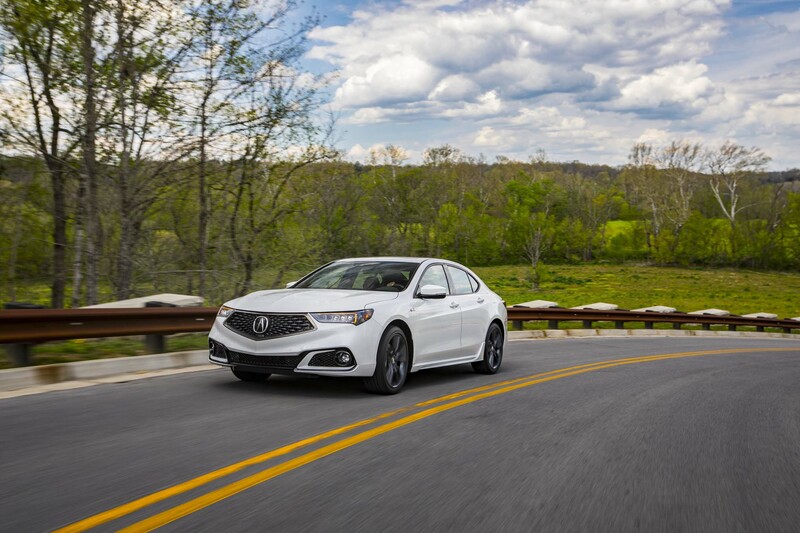 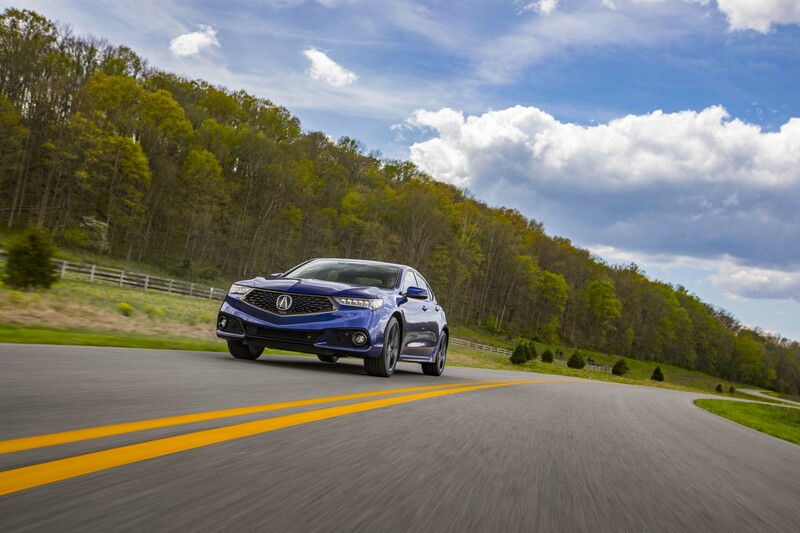 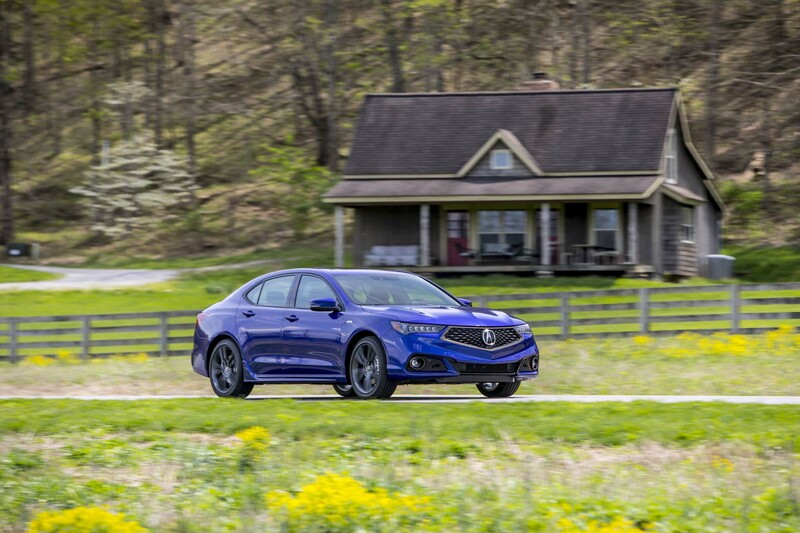 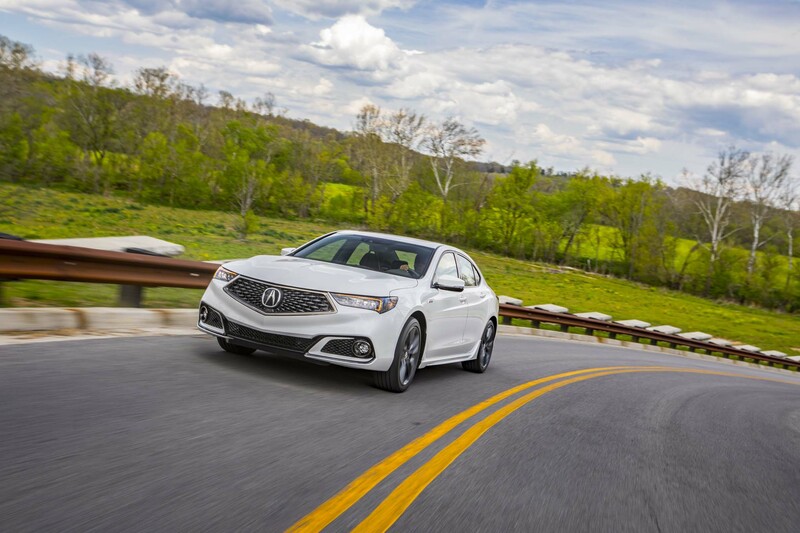 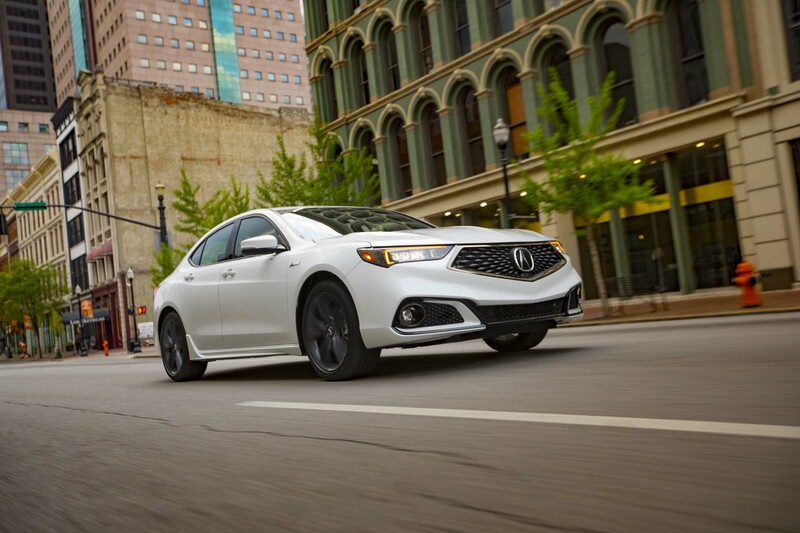 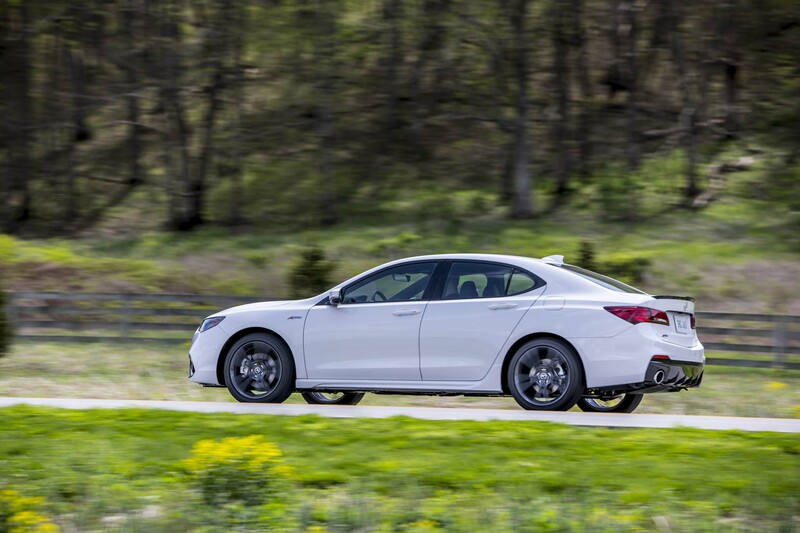 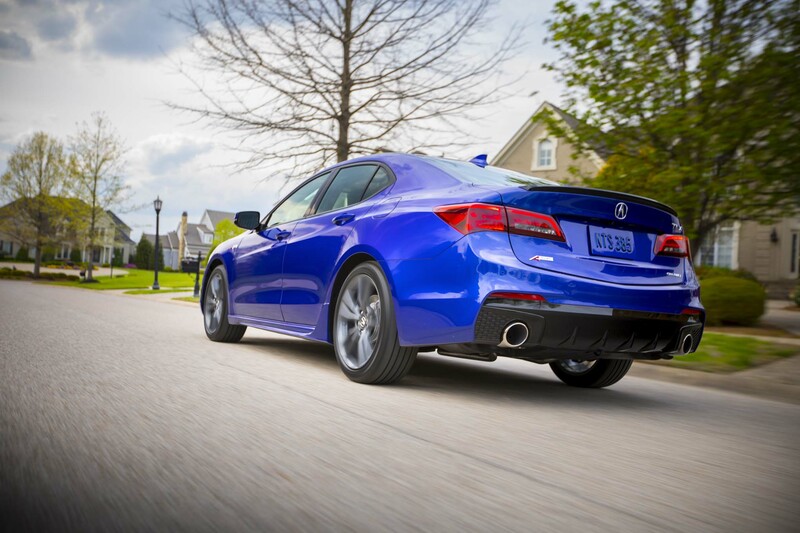 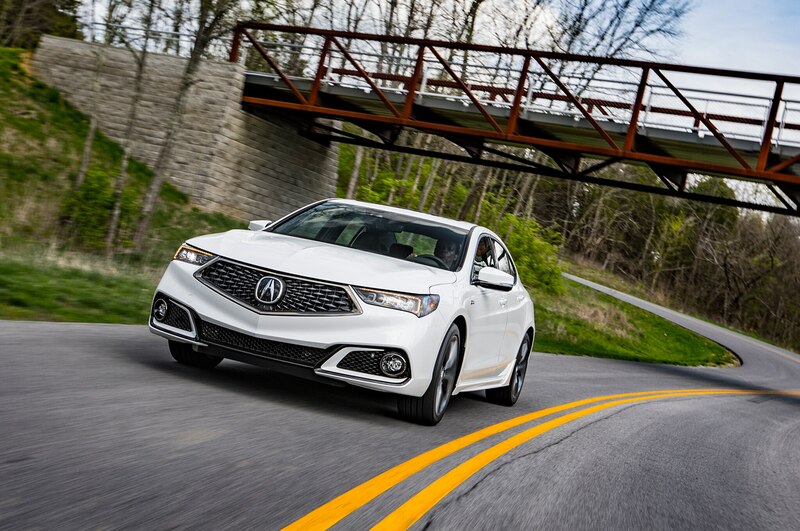 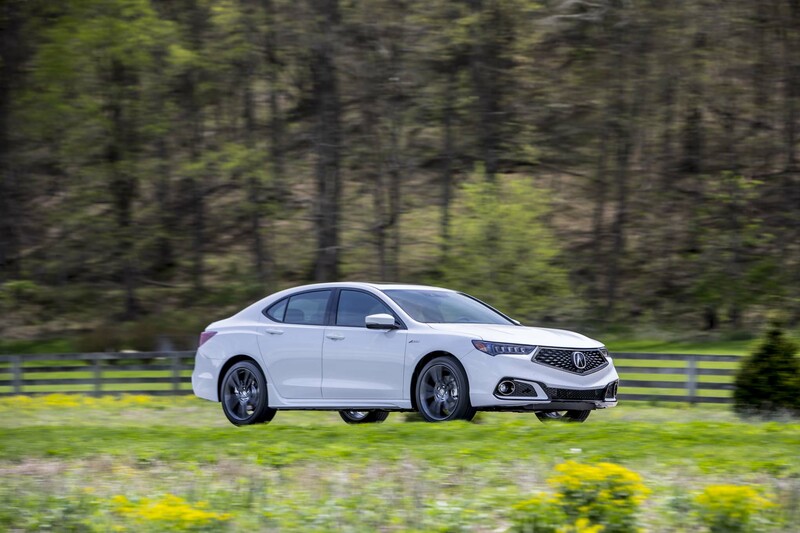 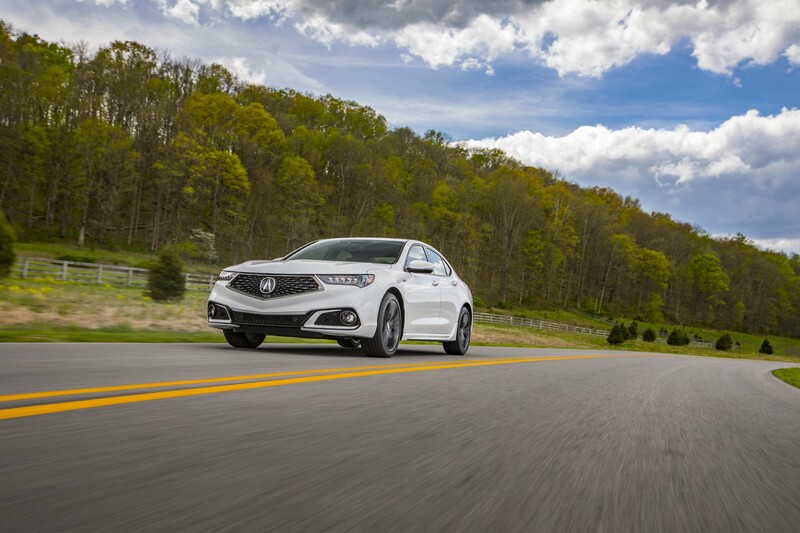 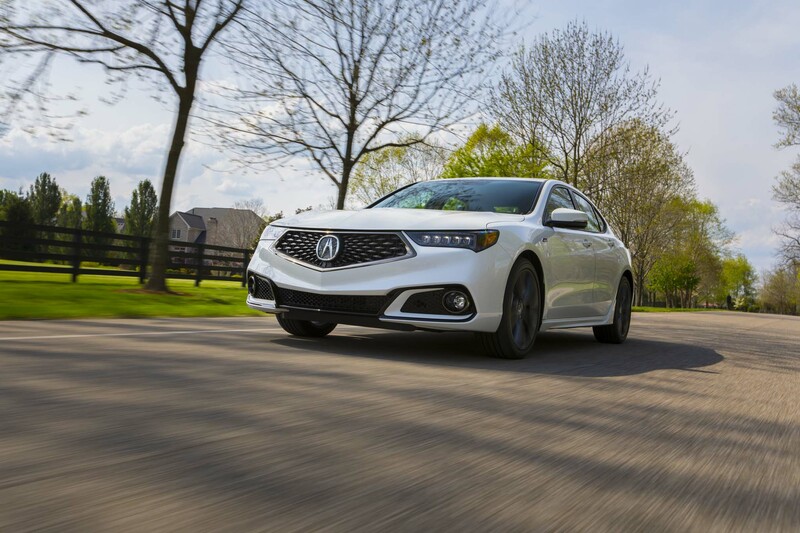 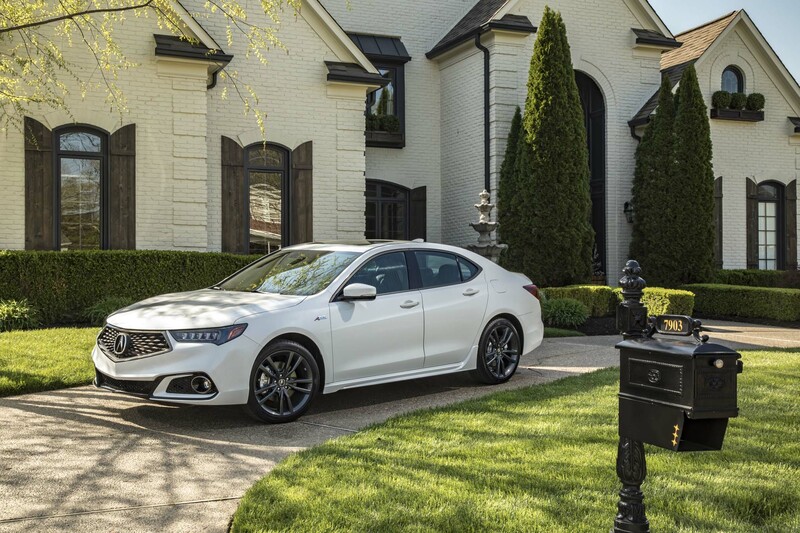 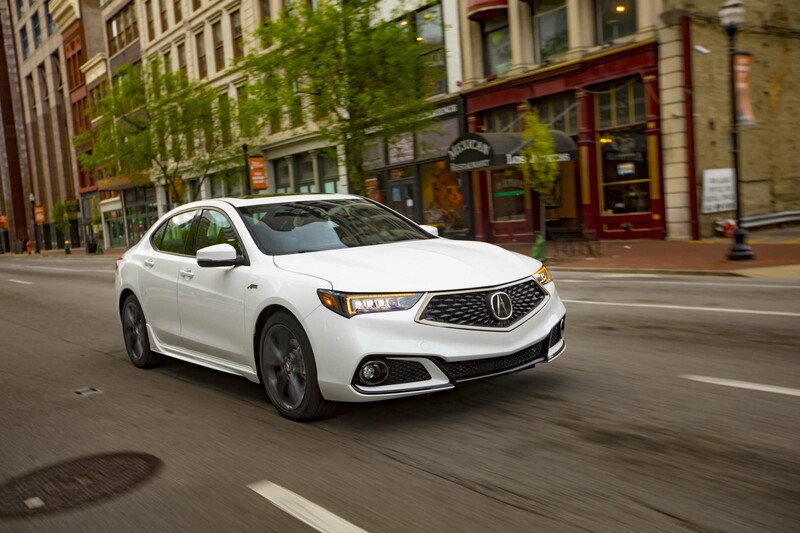 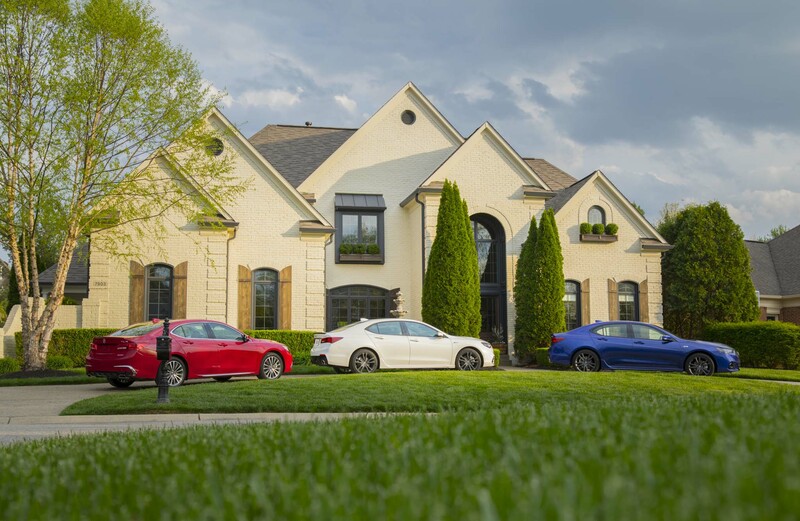 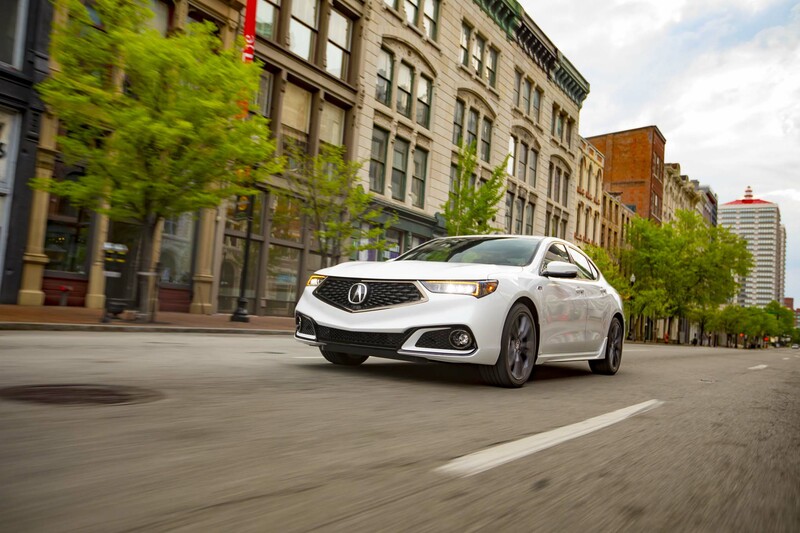 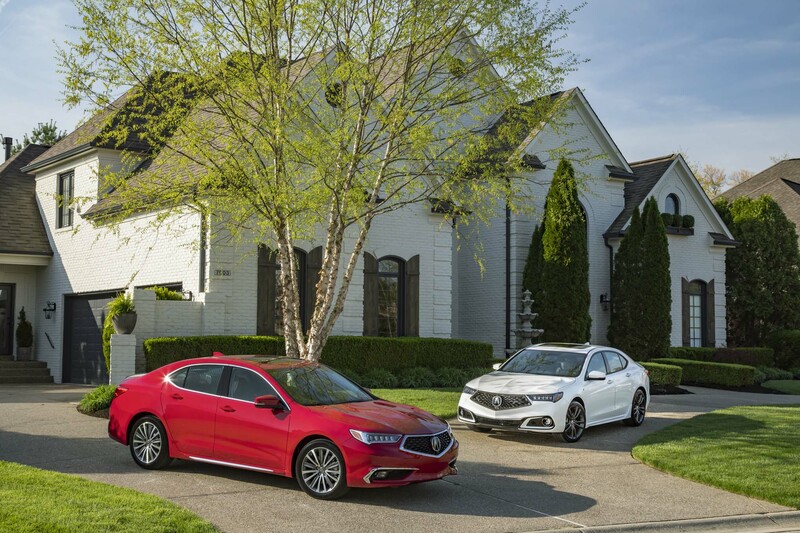 One of the first attempts at meeting the brand’s fresh mantra is the A-Spec version of the 2018 Acura TLX we recently had a chance to hustle around Kentucky bluegrass country. 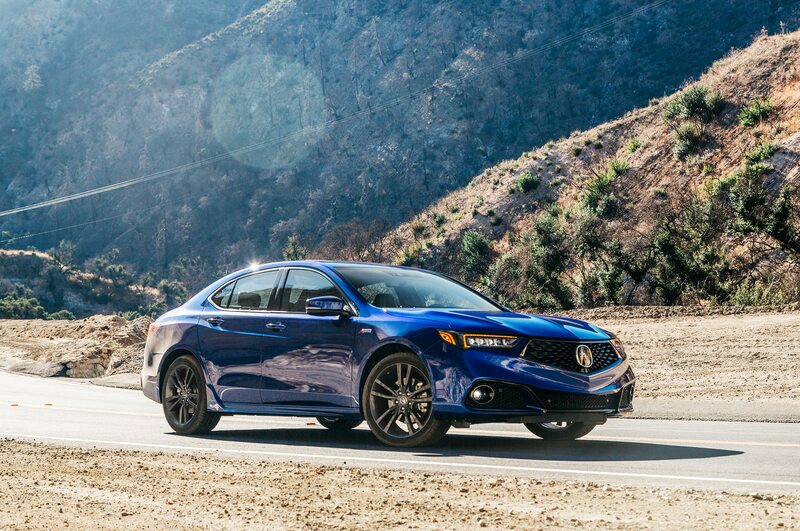 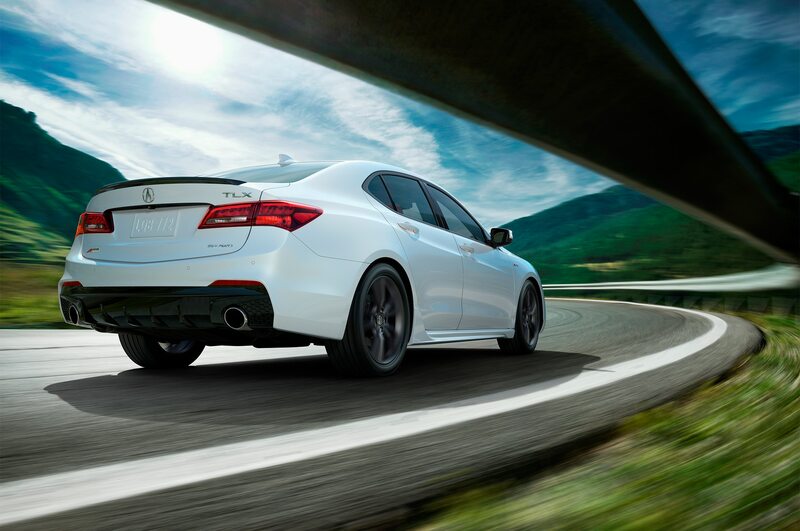 Before you get overly excited, this is a mildly sporty rework of the TLX’s midrange Tech variant, featuring a more aggressive appearance inside and out and some mild suspension updates. 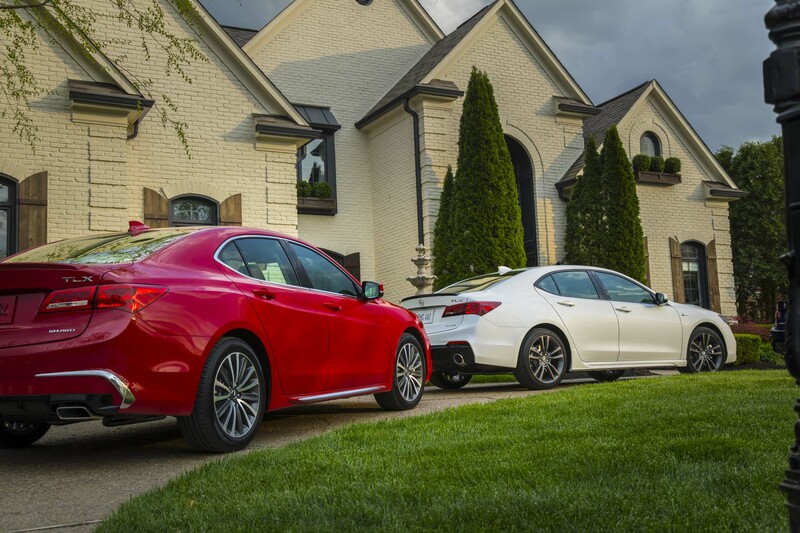 While it can be had in FWD and AWD flavors, the latter is inarguably the better handling of the two. 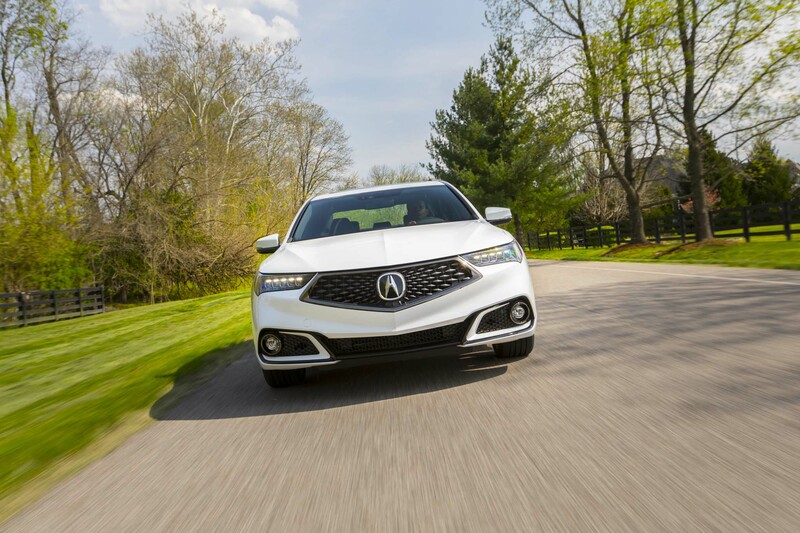 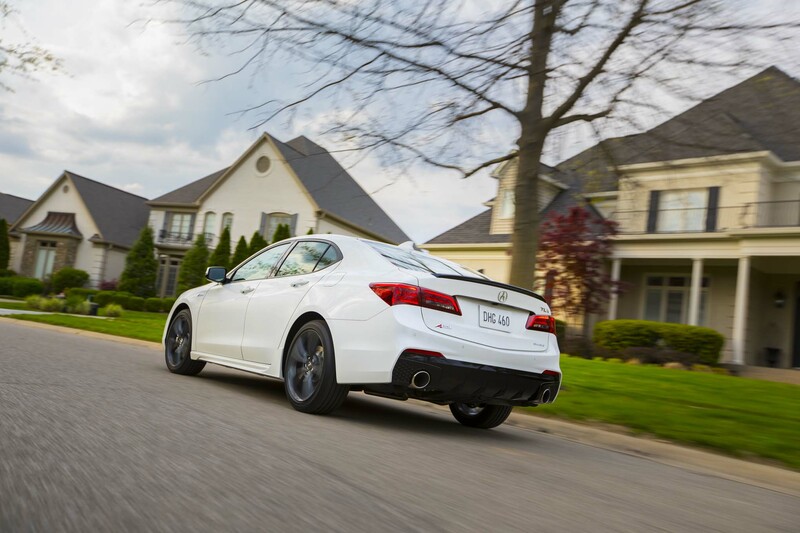 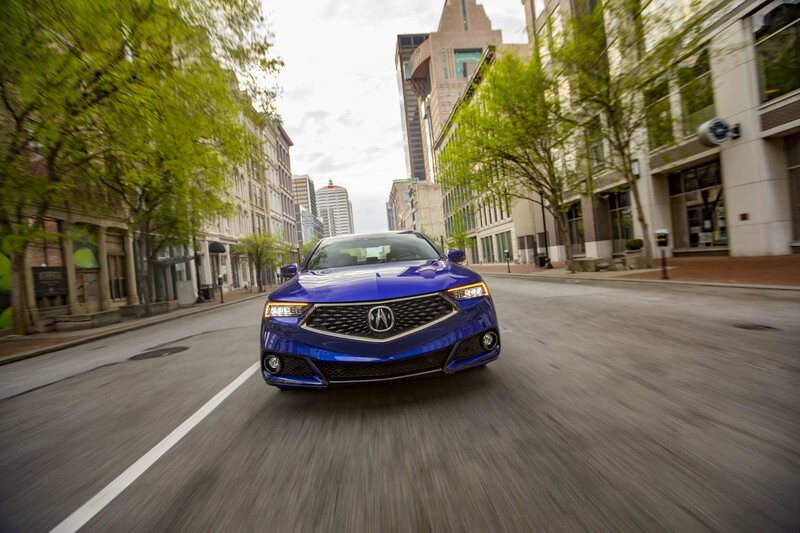 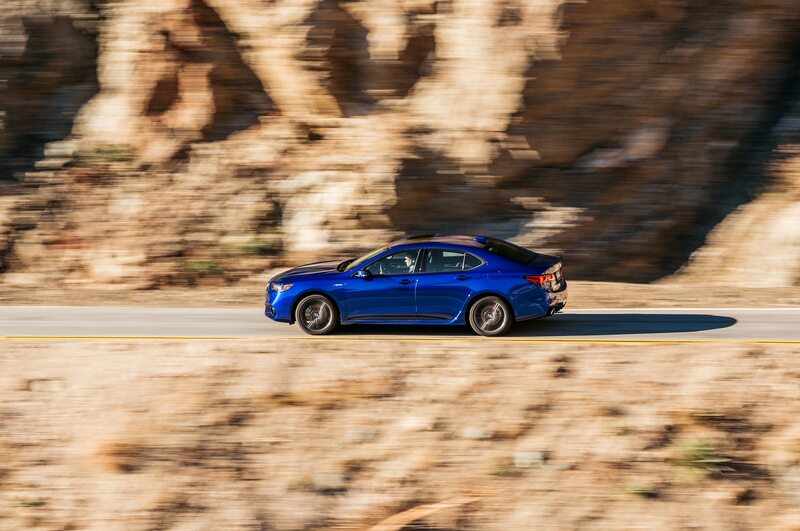 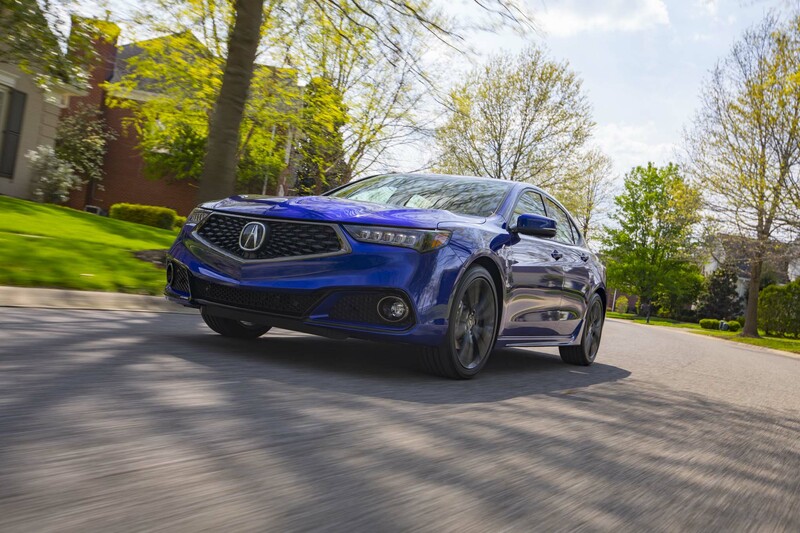 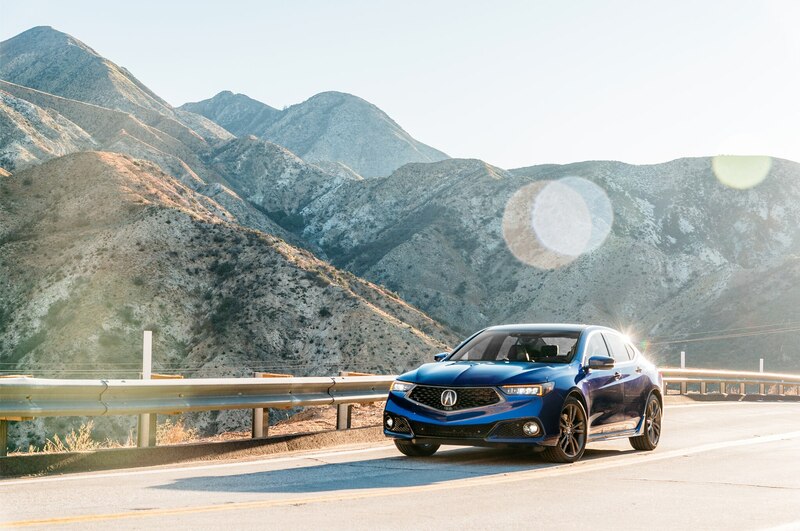 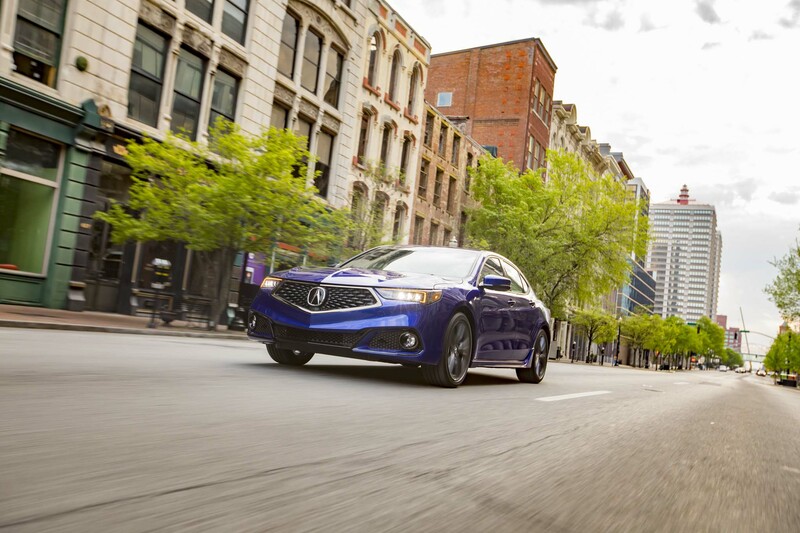 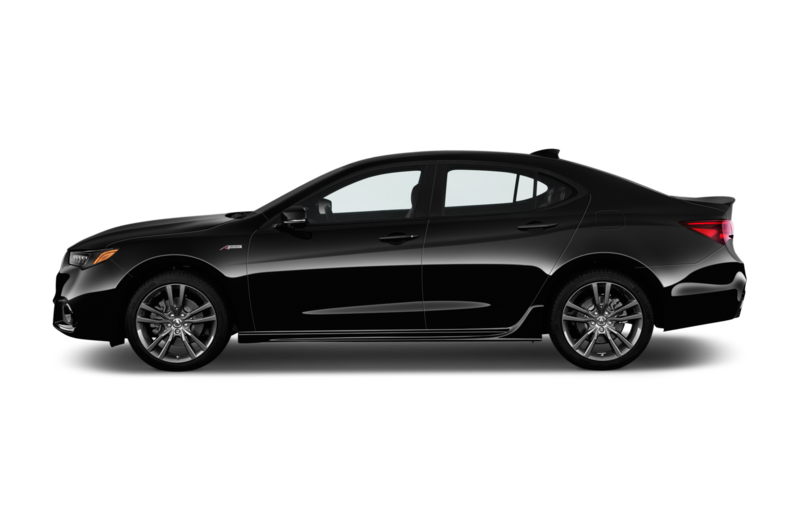 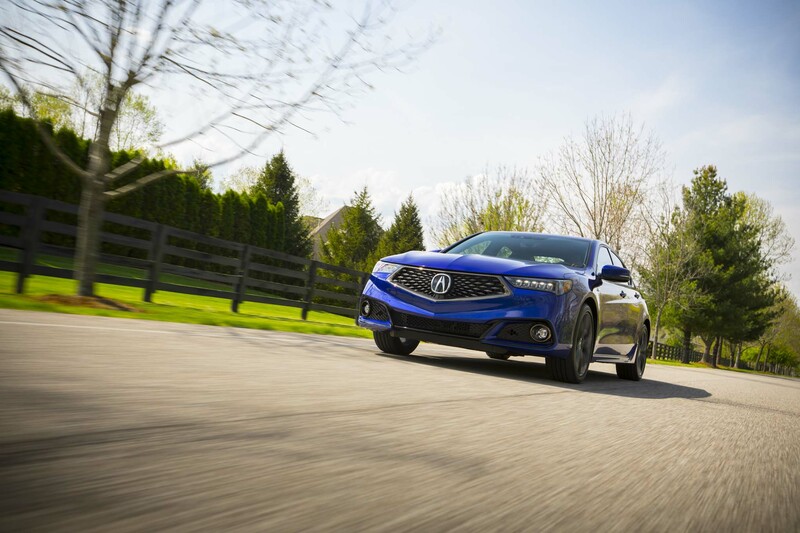 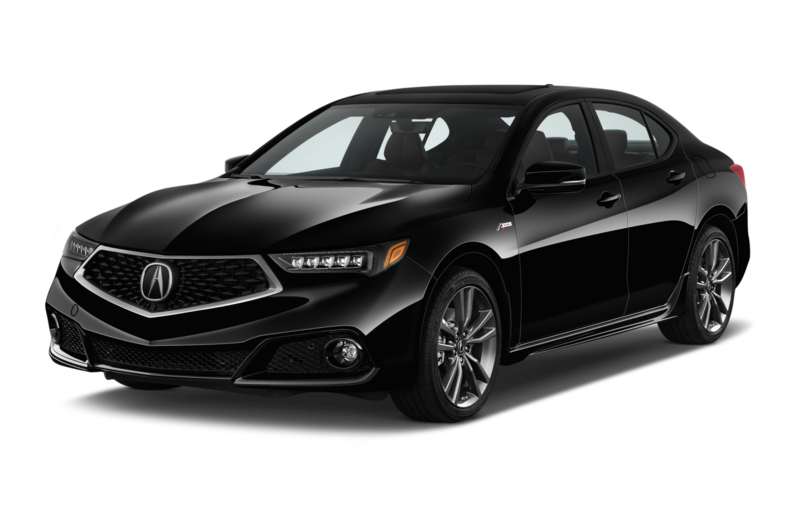 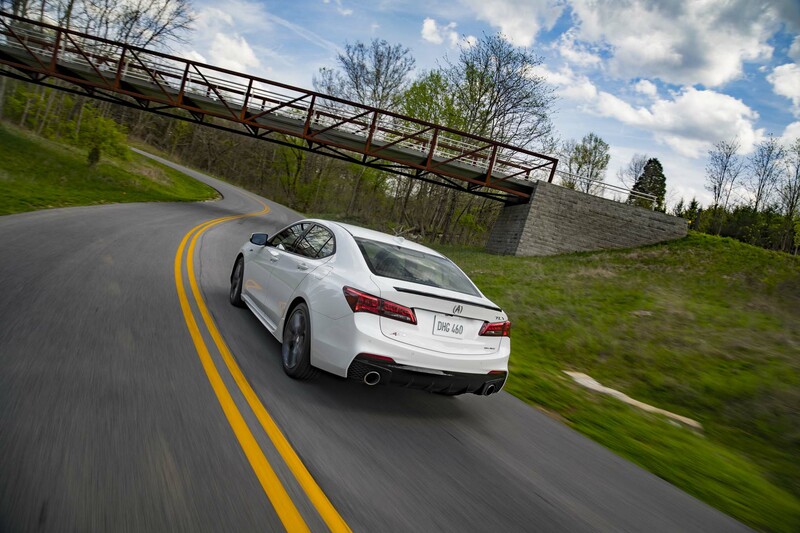 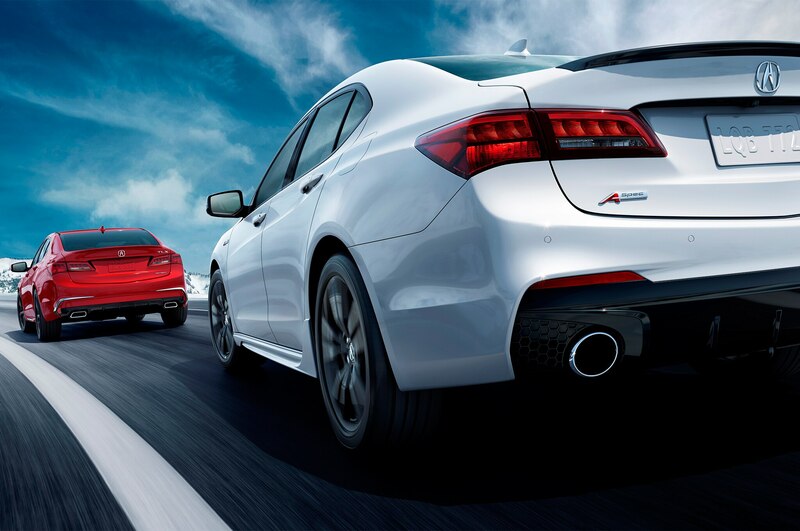 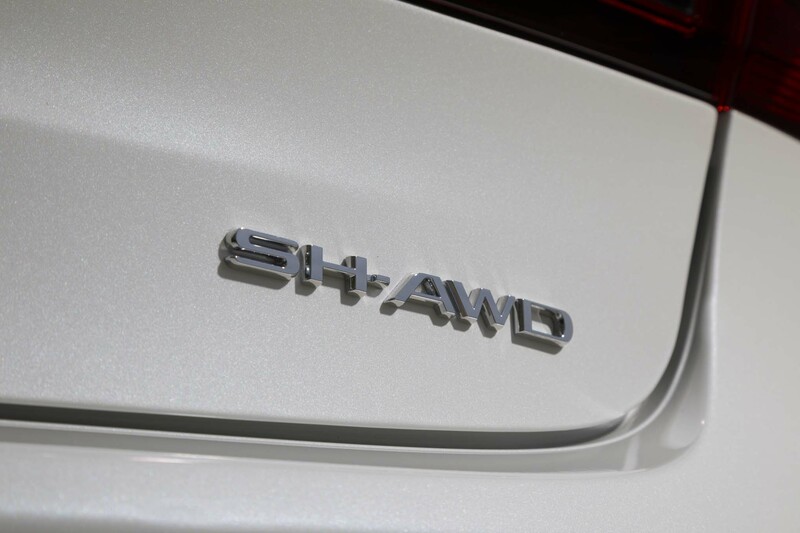 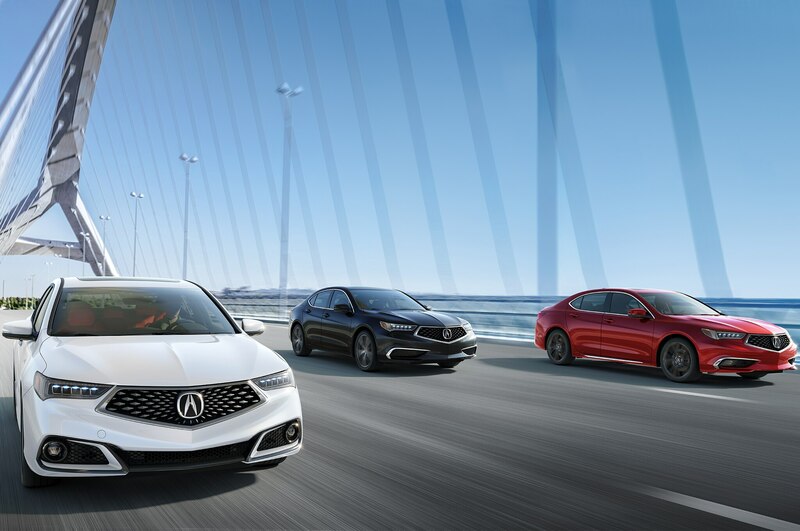 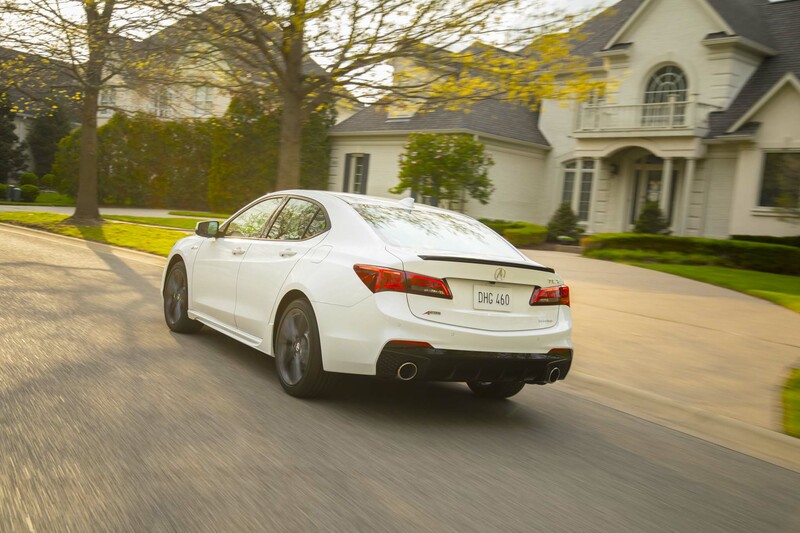 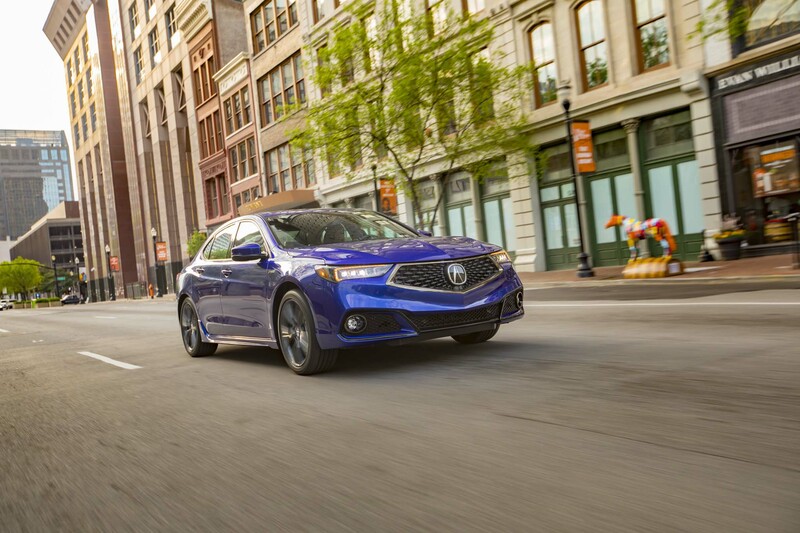 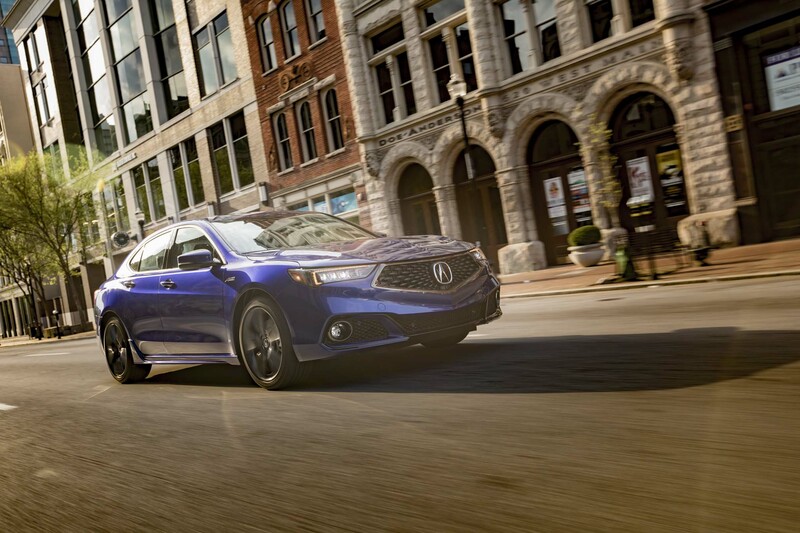 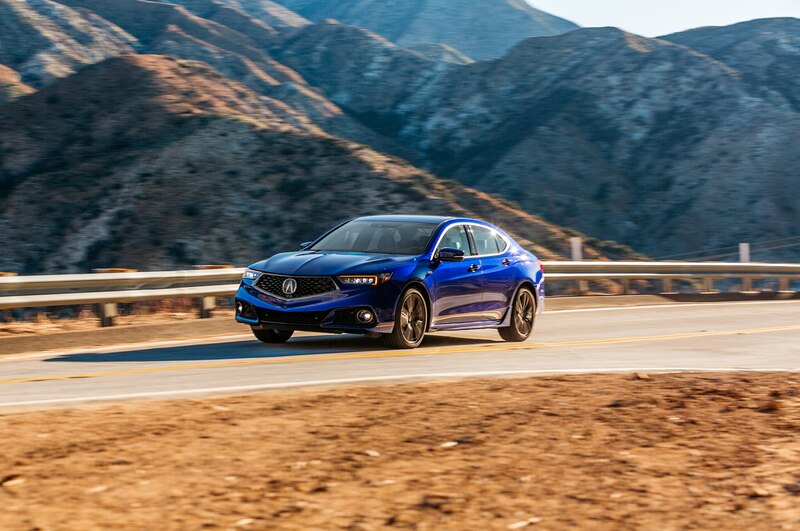 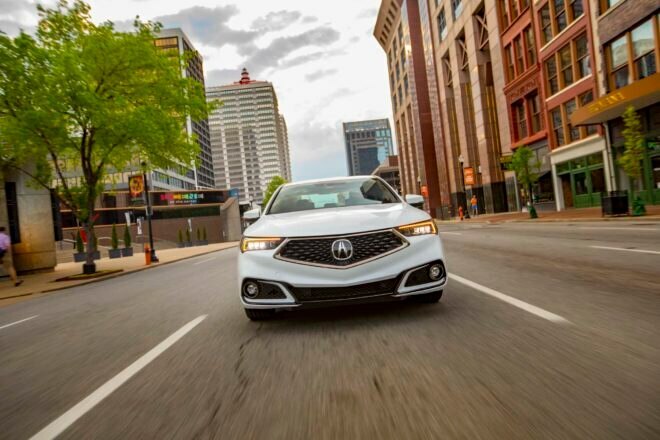 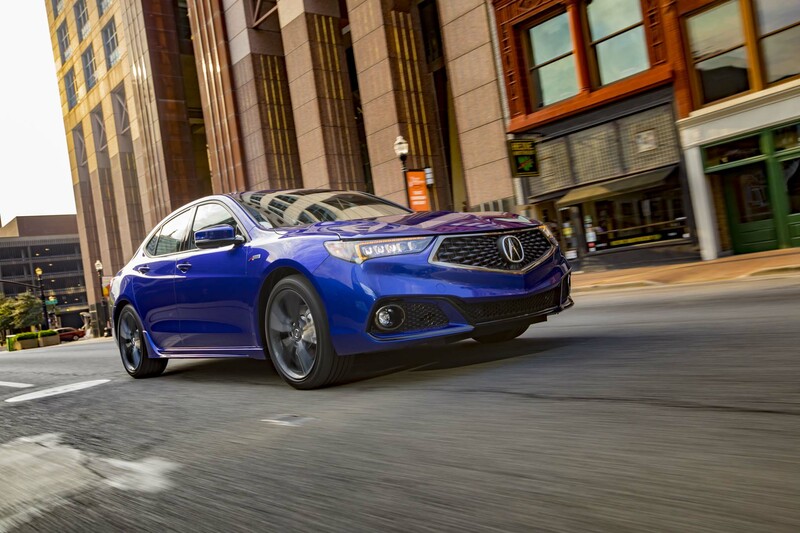 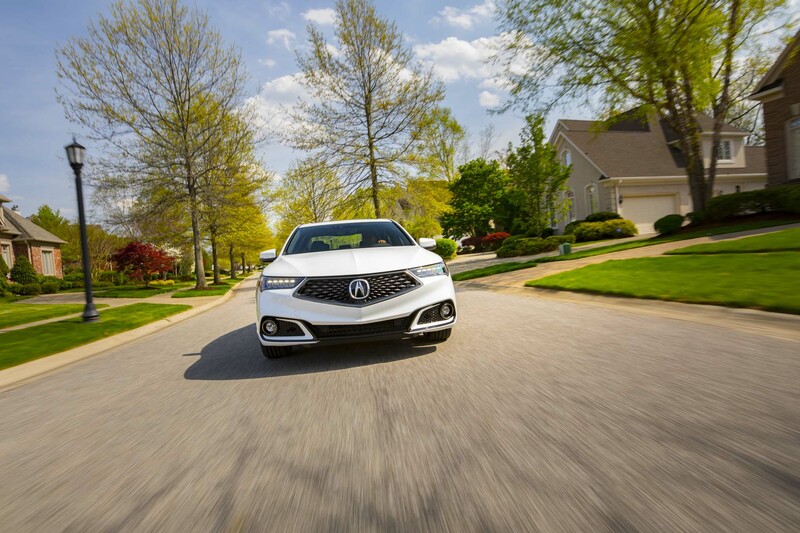 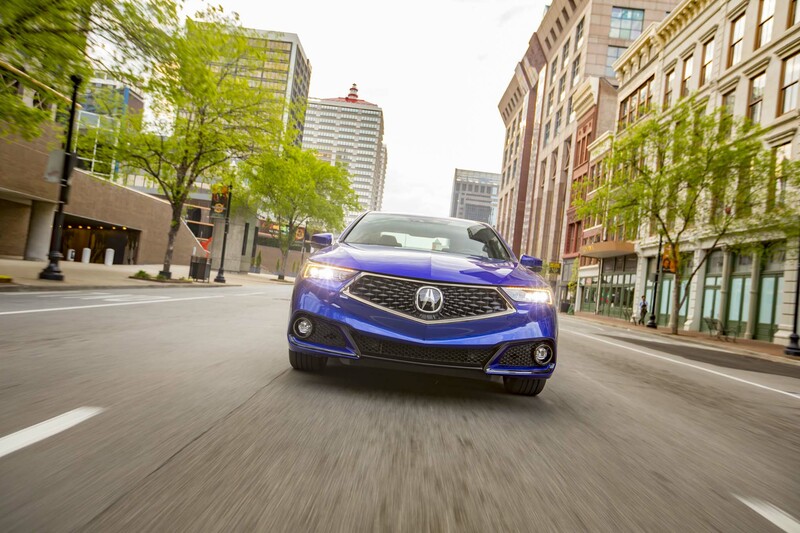 Acura’s SH-AWD system has been a brand highlight for several years and its torque vectoring helps to better direct the car in tight cornering maneuvers. 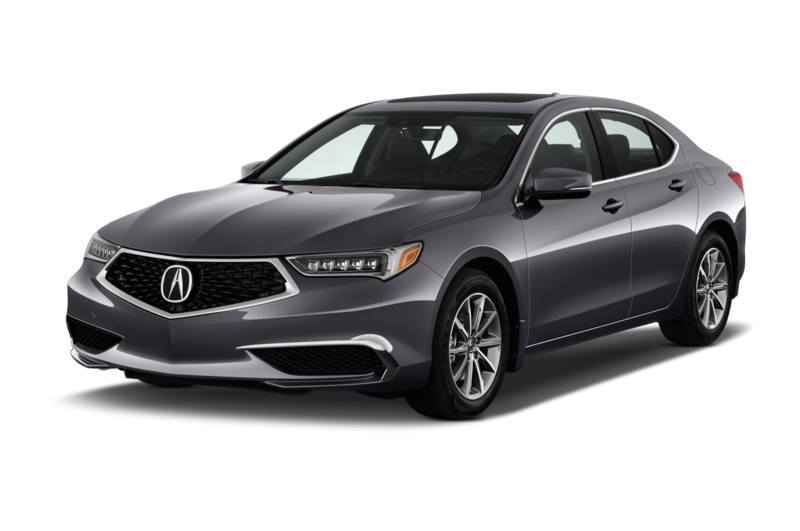 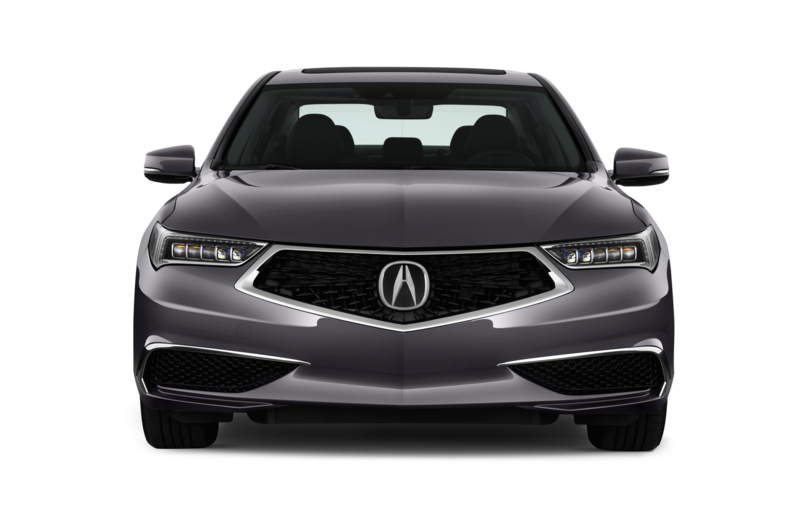 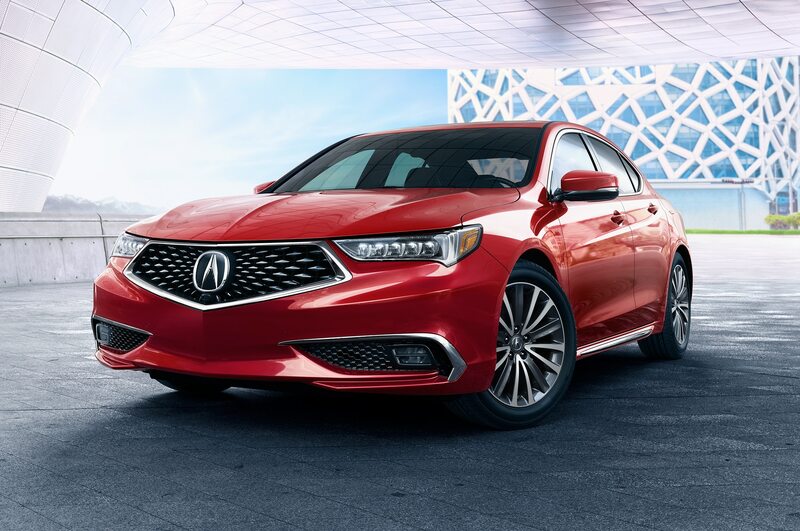 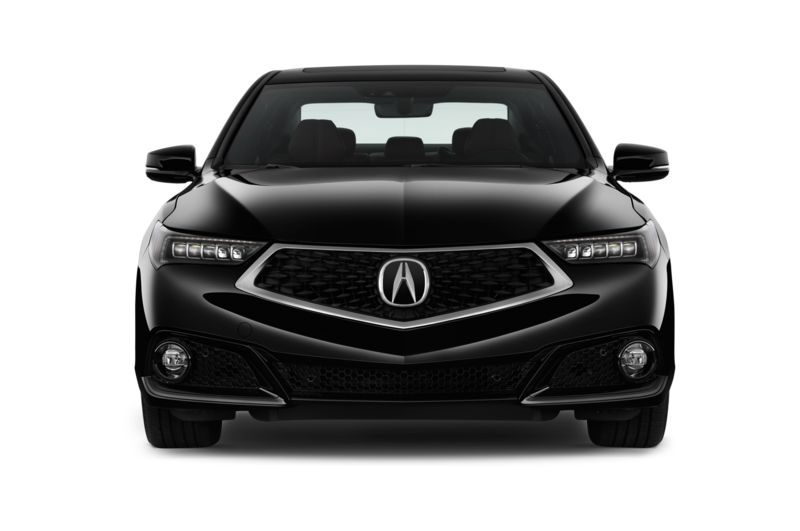 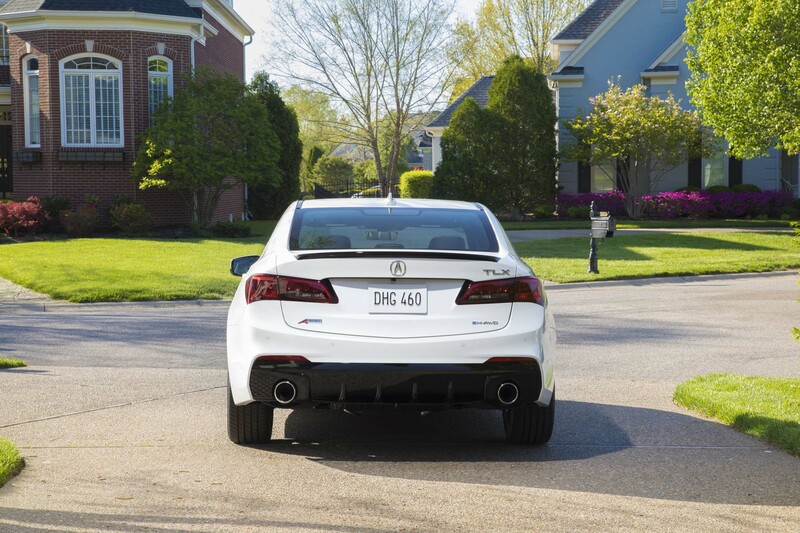 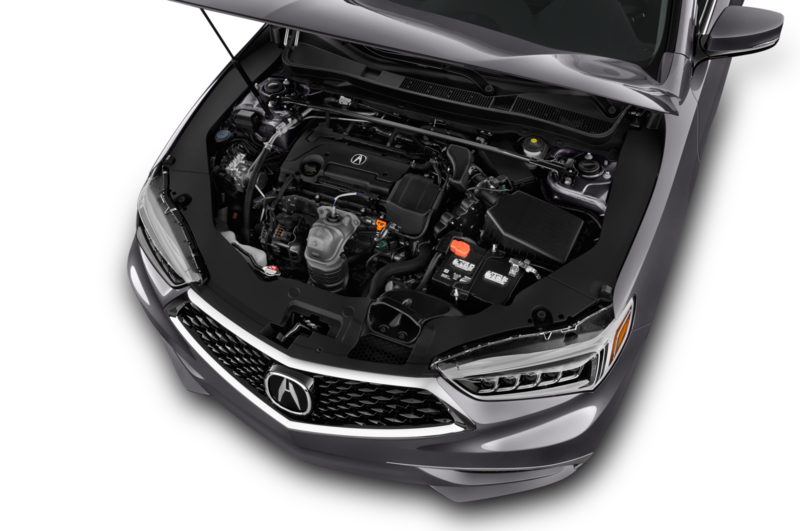 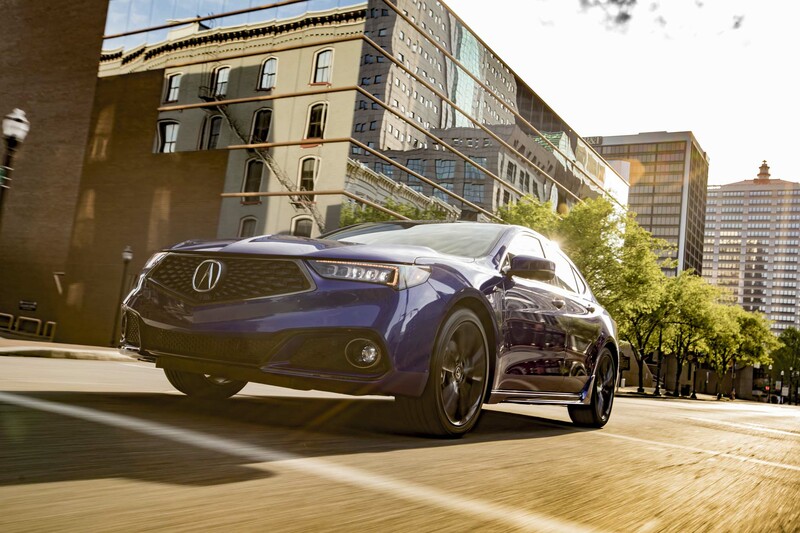 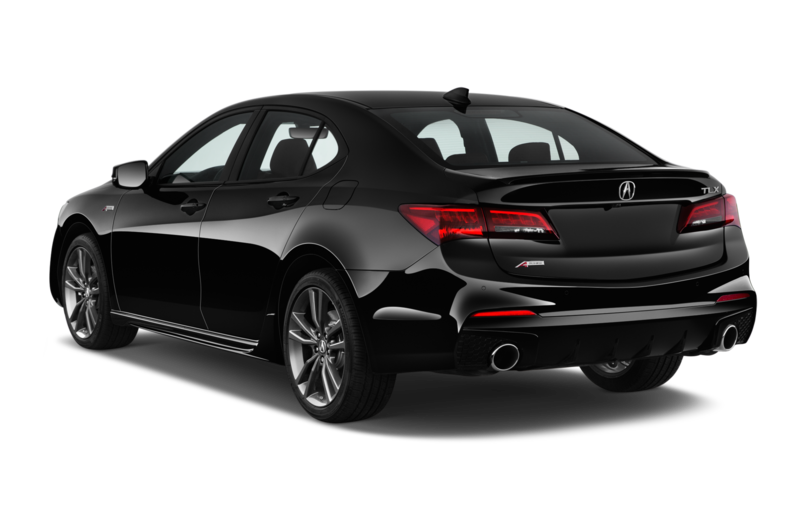 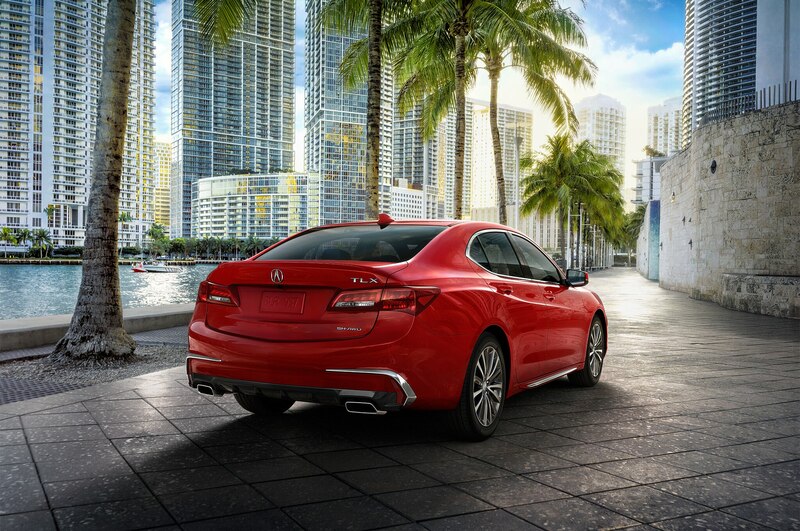 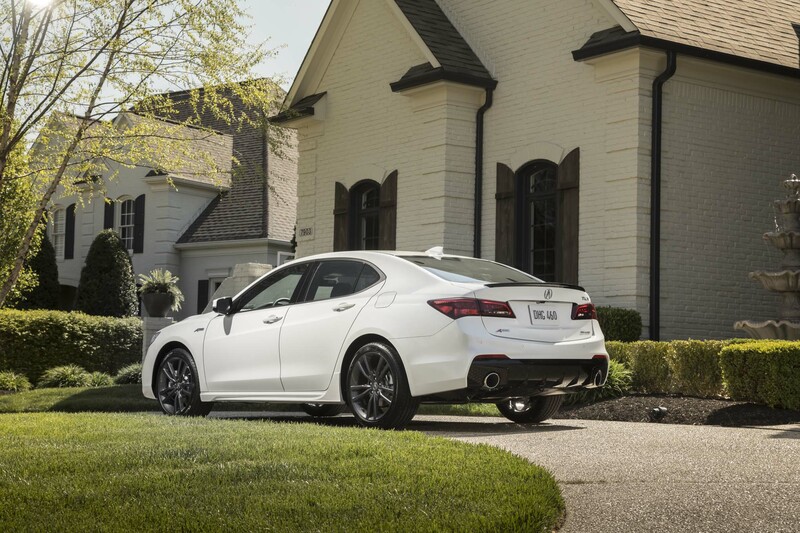 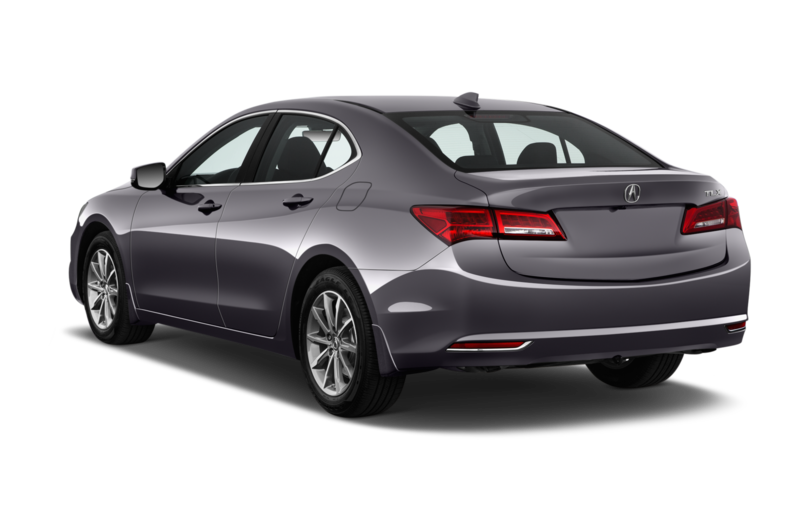 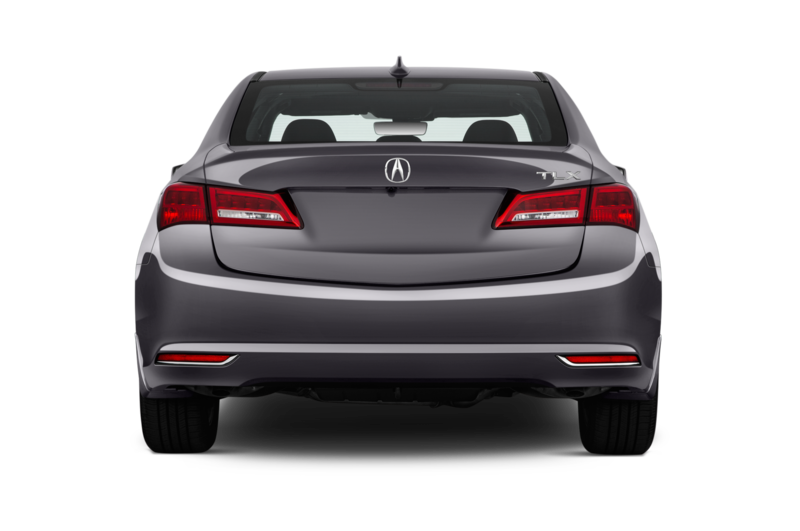 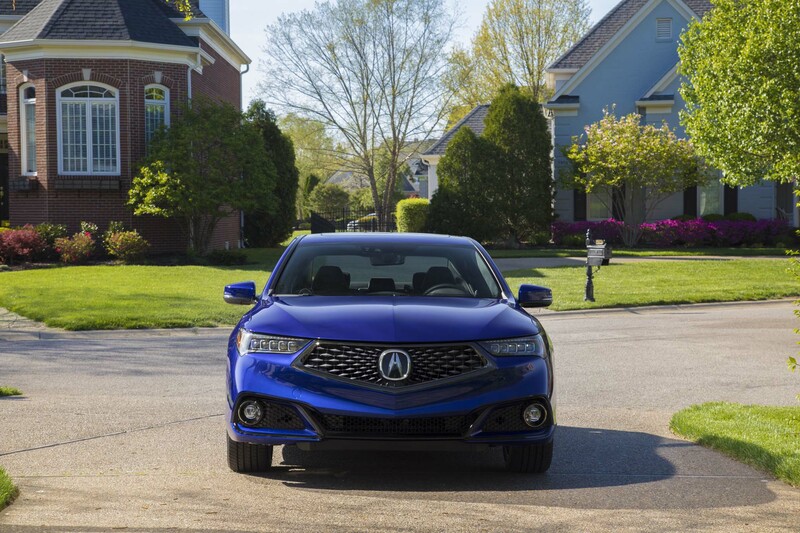 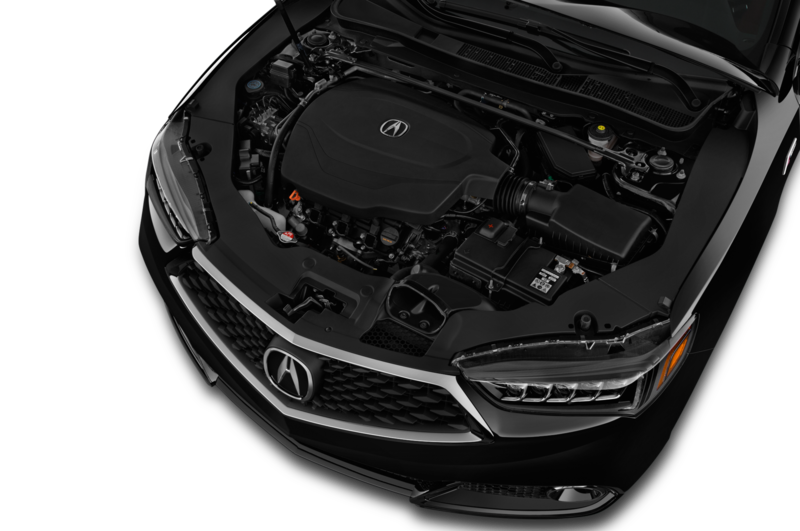 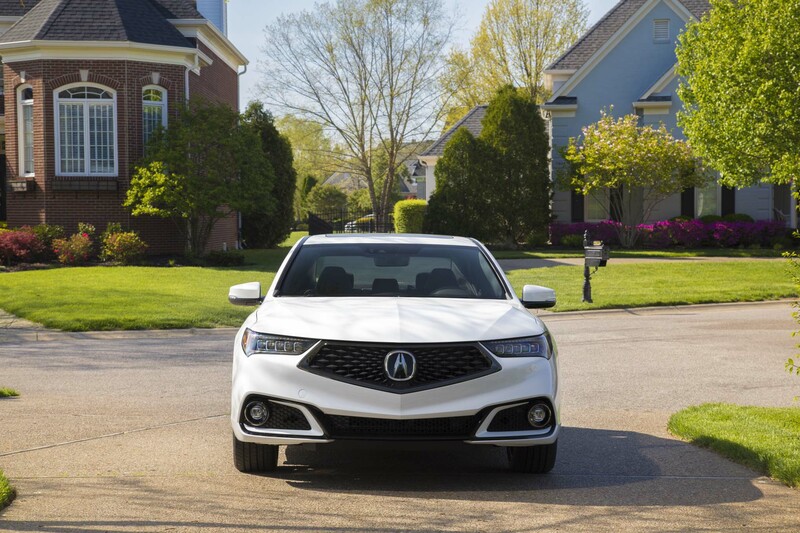 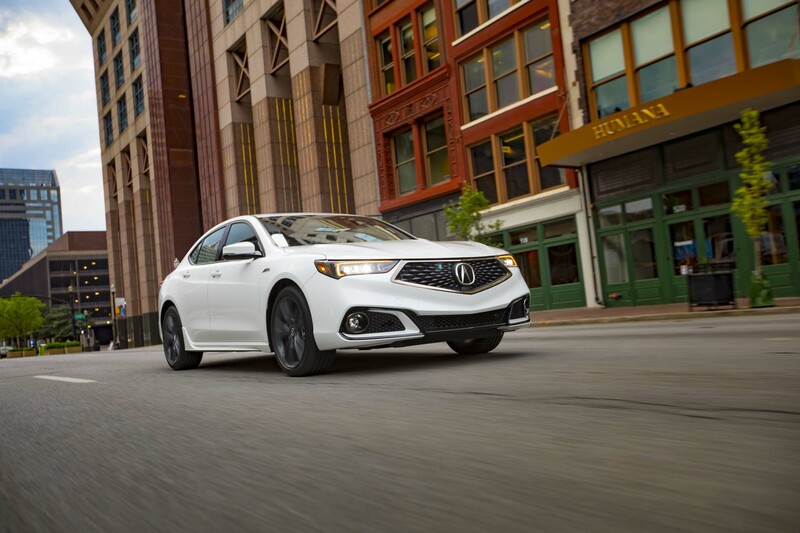 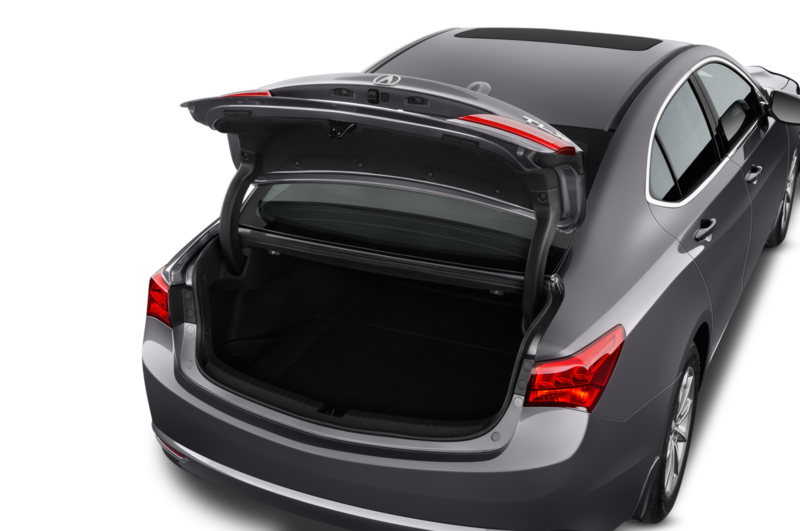 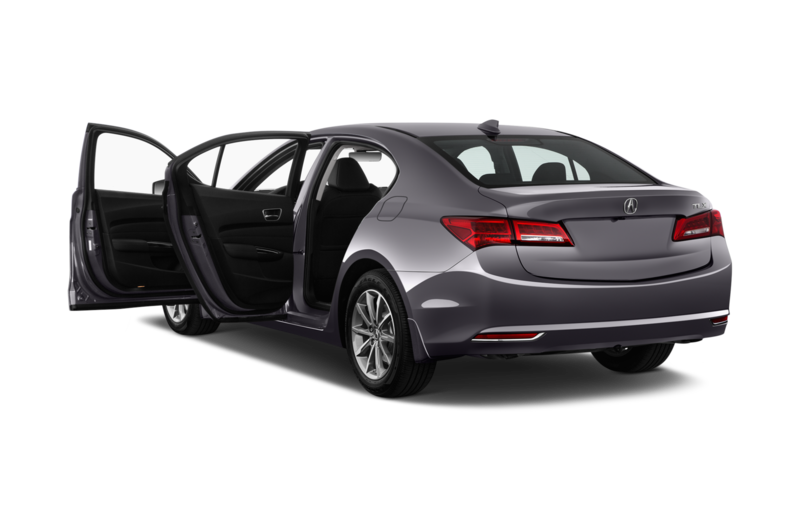 Under the hood is the same 3.5-liter V-6 found in the rest of the TLX range (the A-Spec is not offered with the entry 2.4-liter I-4). 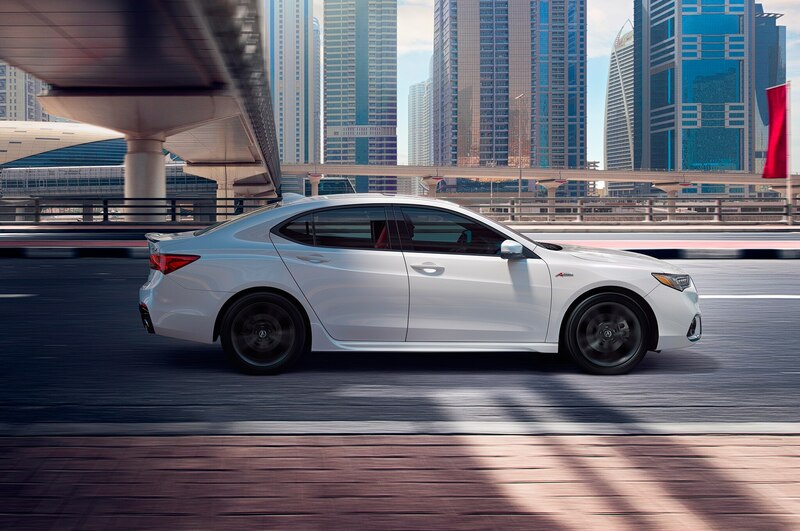 It makes the same 290 hp and 267 lb-ft of torque and is mated to the same 9-speed automatic transmission. 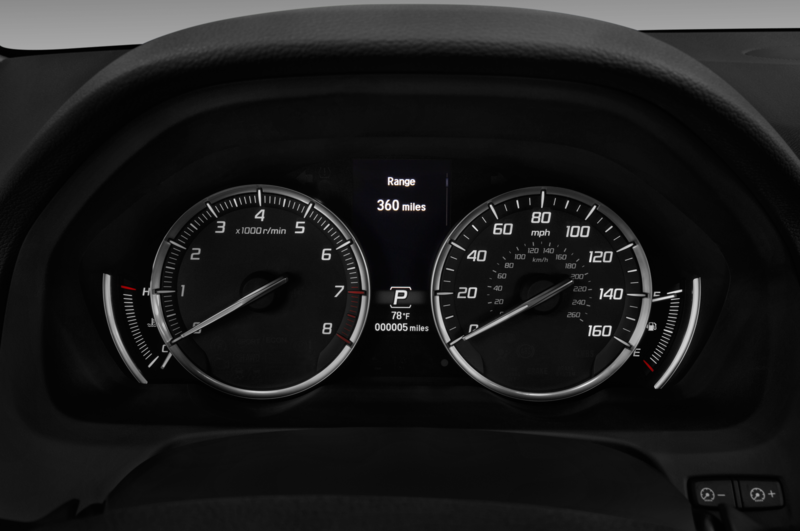 It’s a solid but unremarkable combination that gets the car to 60 mph in around six seconds without much fuss or drama. 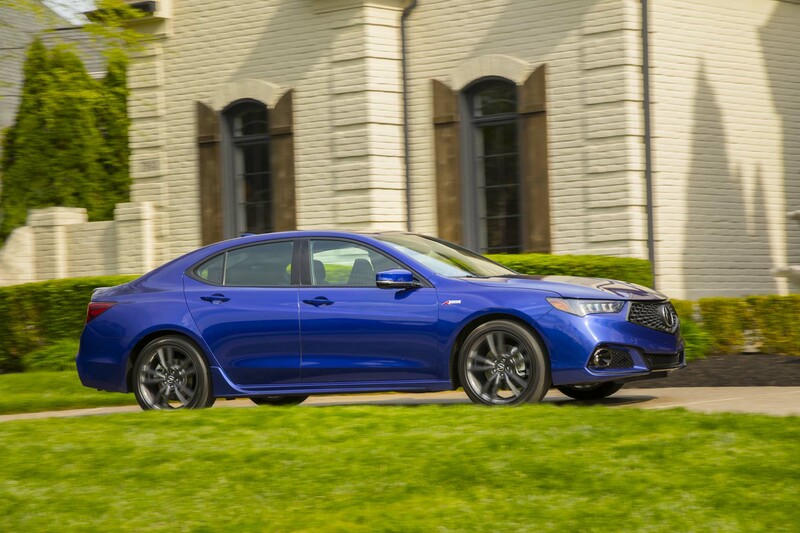 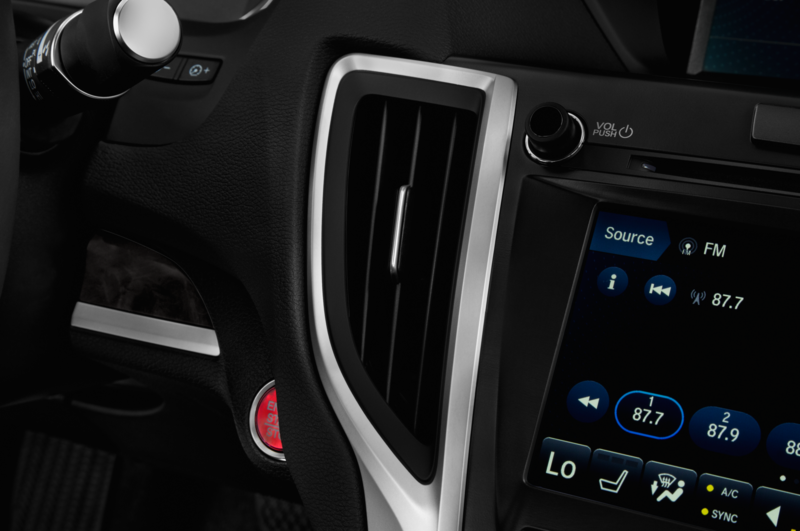 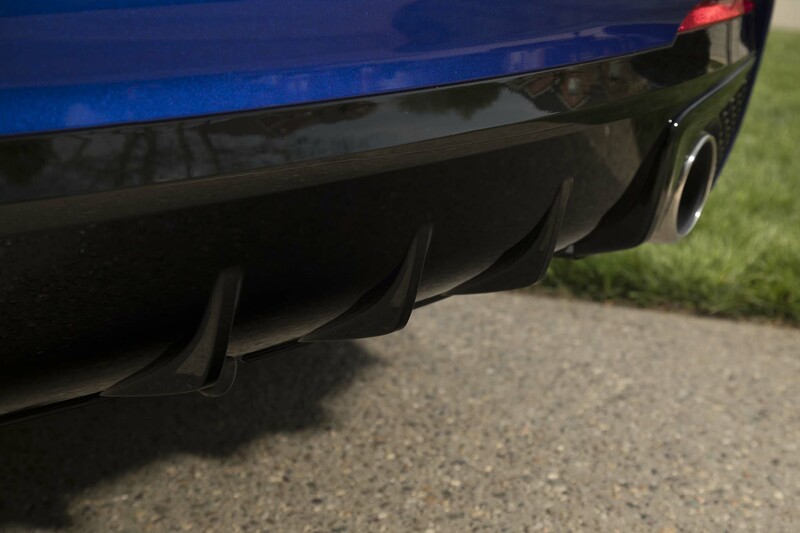 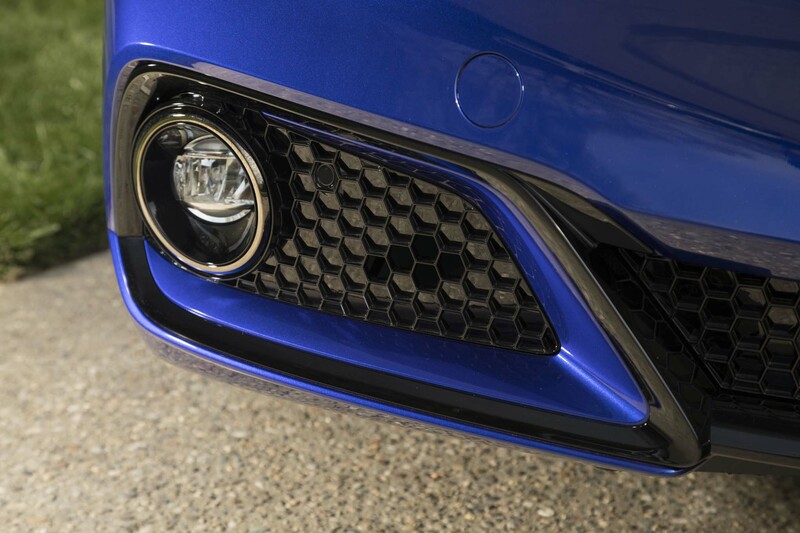 There’s also a bit more sonic flavor emanating from the A-Spec version thanks to the revised tuning of the car’s Active Sound Control System, which is said to smooth out the engine note by sending a same- or reverse-phase sound signal through the speakers as needed. 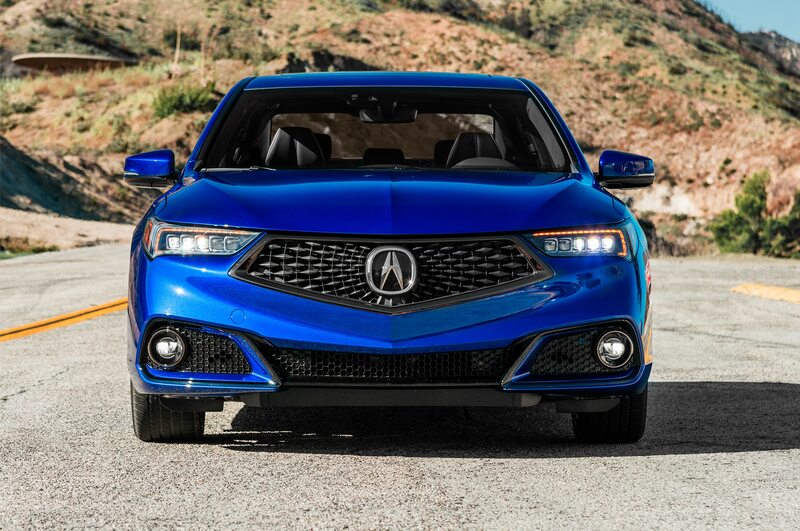 Exterior wise, while the TLX A-Spec isn’t the first model to shed Acura’s old beak nose (those honors went to the 2017 MDX), it thankfully won’t be the last. 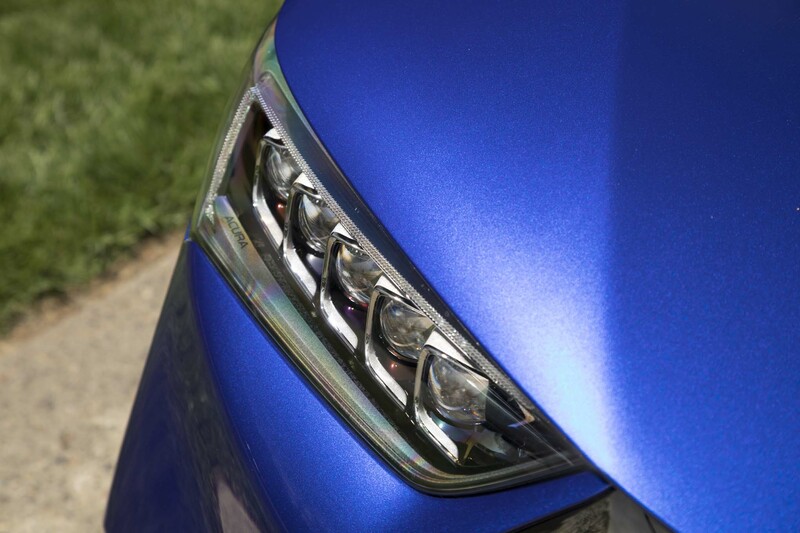 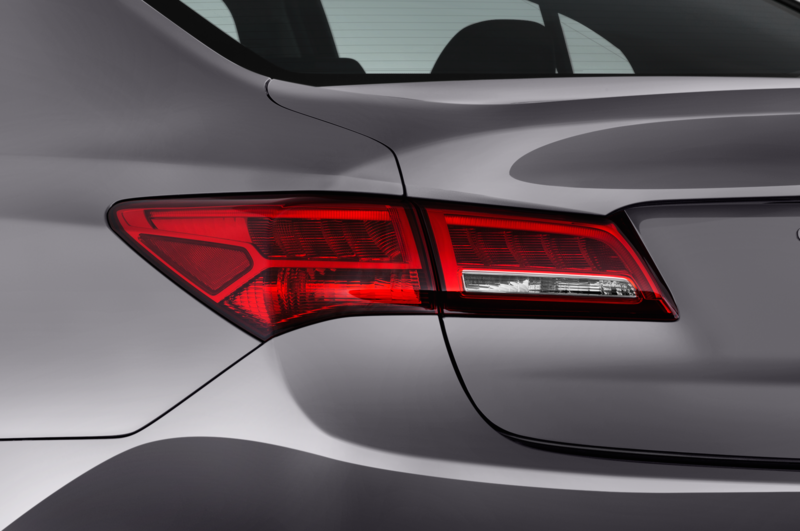 It looks best in its exclusive Still Night Blue Pearl paint (also on offer are black, white, ‘steel,’ and red). 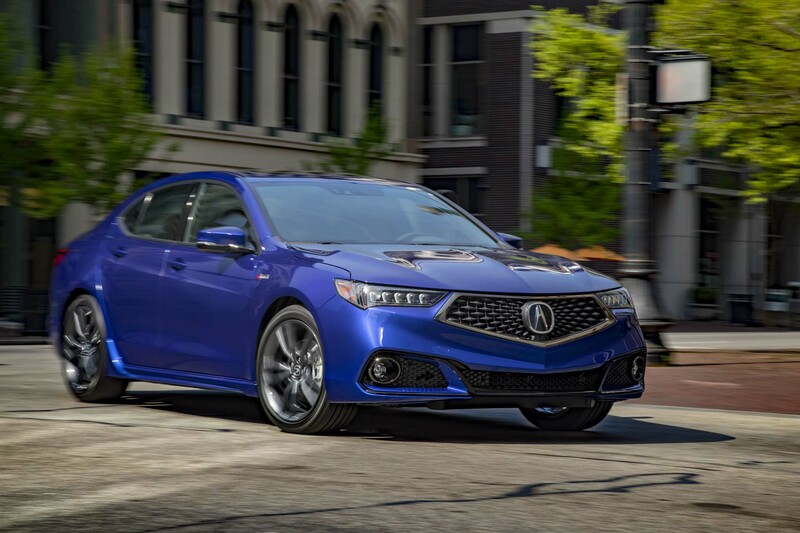 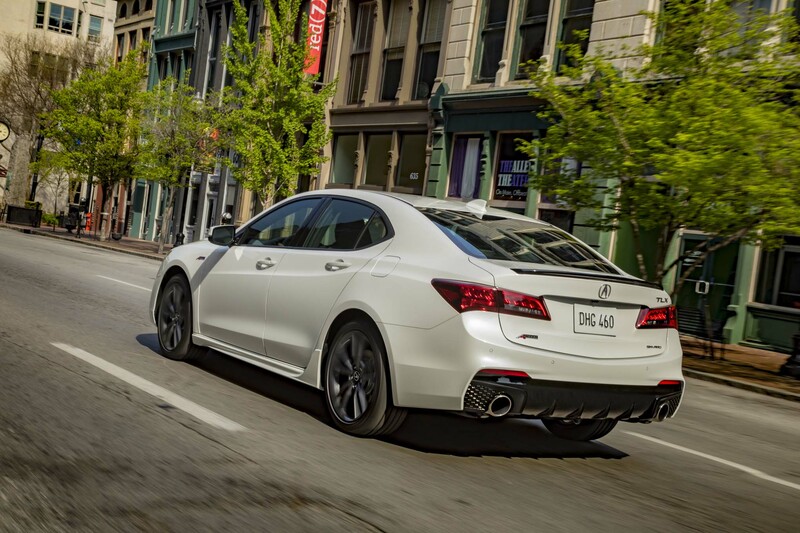 Regardless of color choice, it looks better than the range-topping TLX Advance thanks to the use of black and body color trim and a better flowing rear fascia design, accented by integrated circular exhausts. 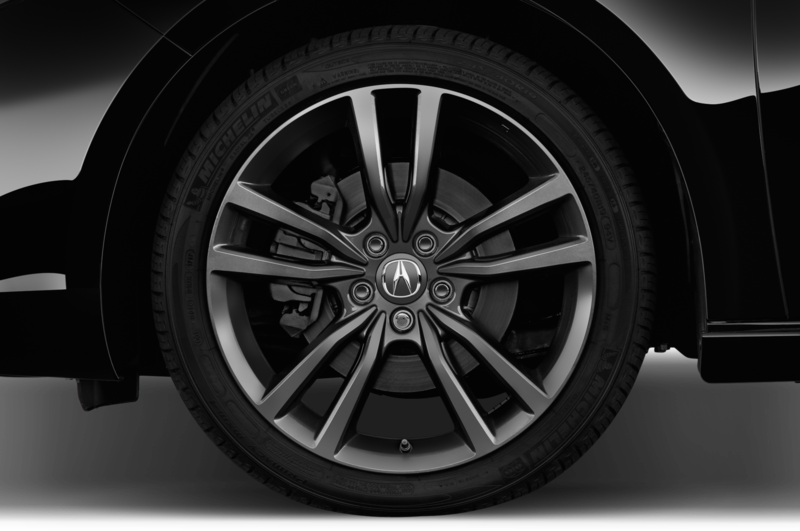 It also rolls on a 19-inch rim and tire package as standard equipment. 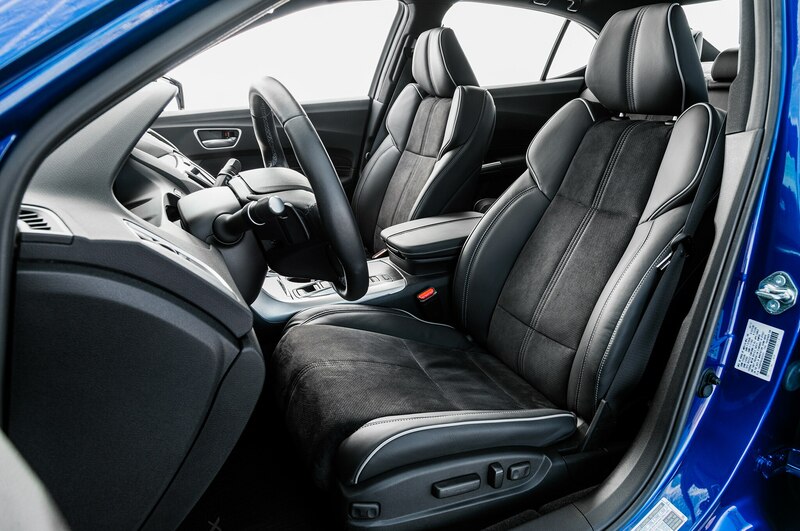 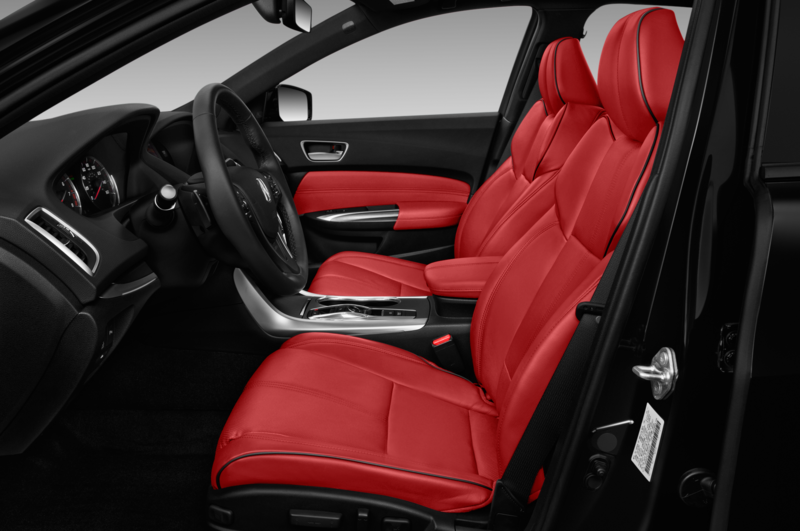 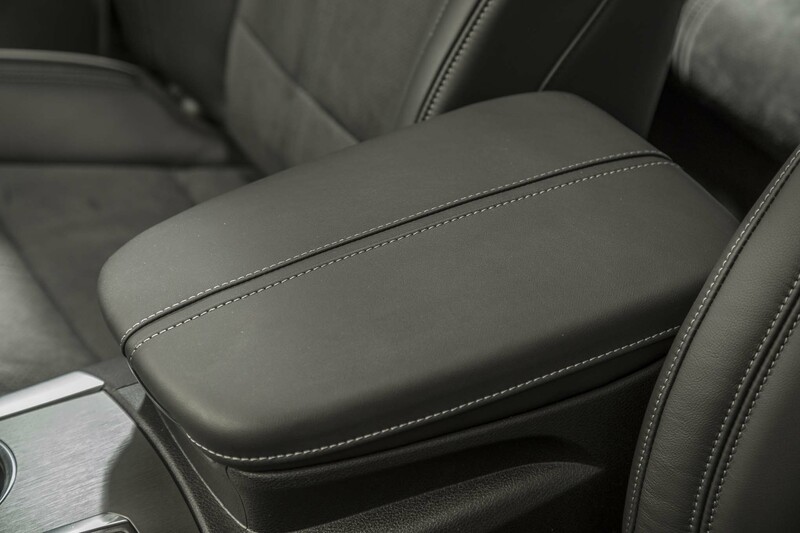 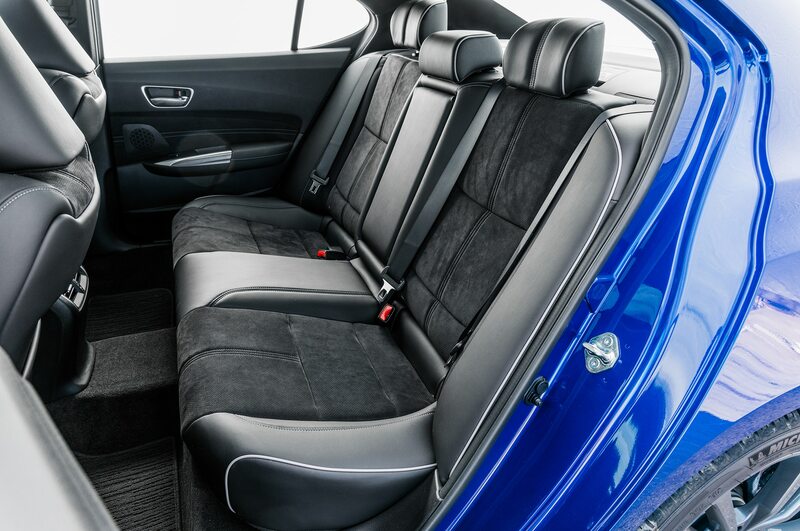 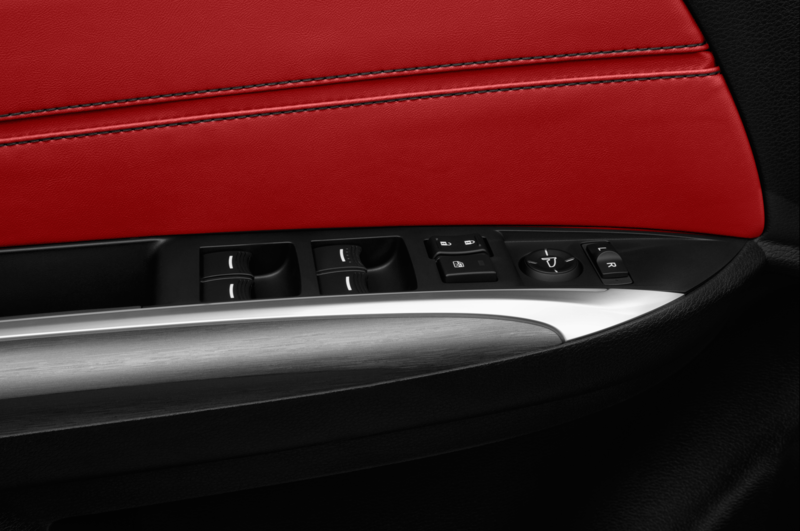 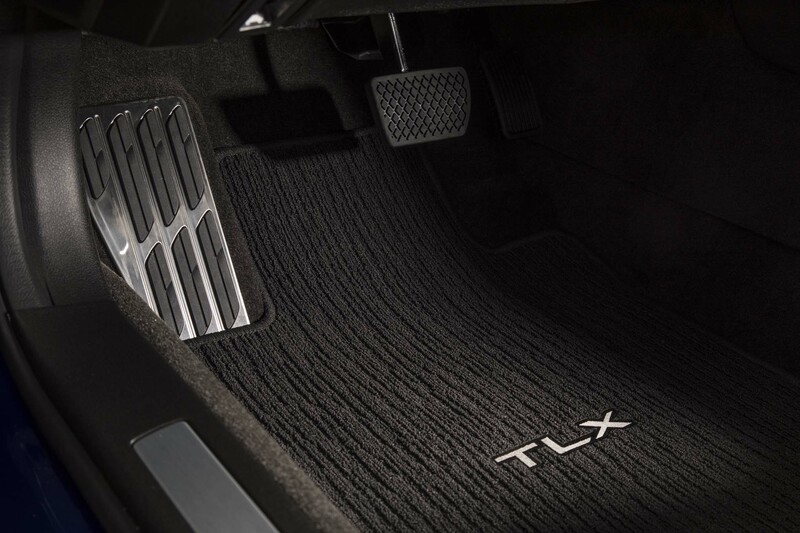 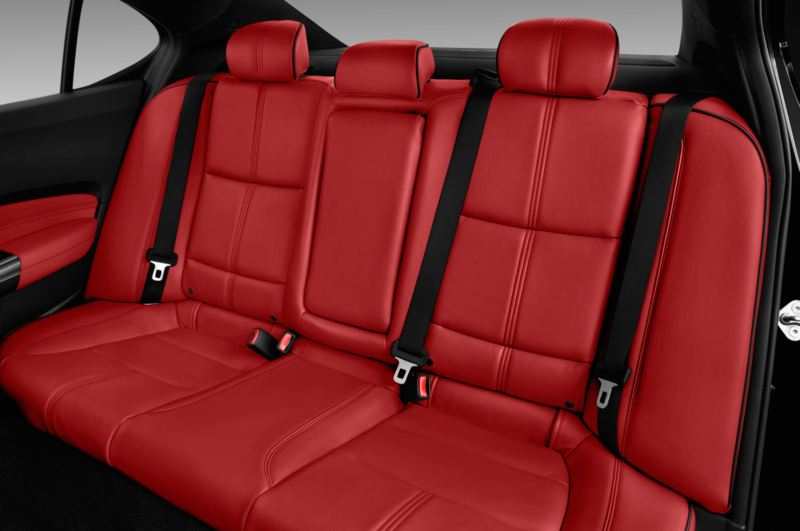 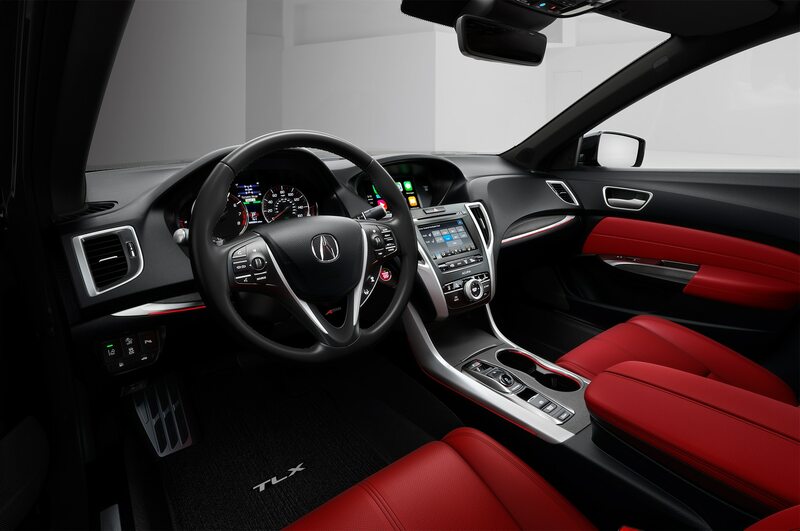 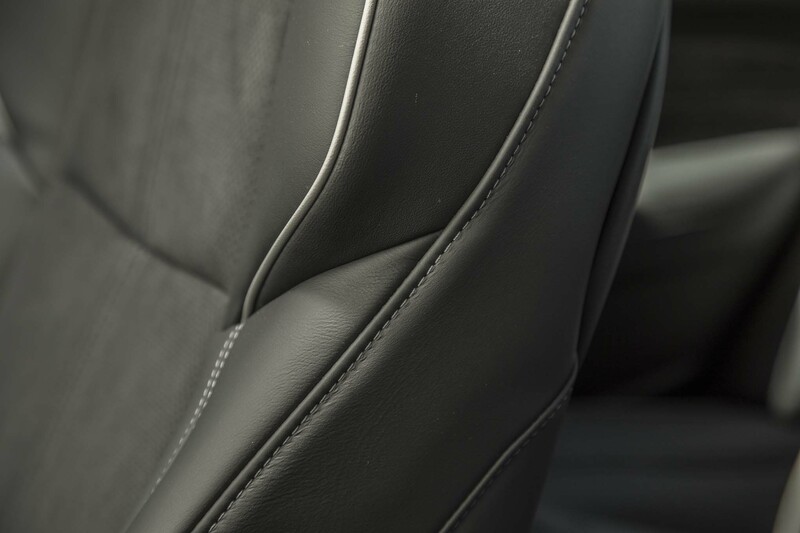 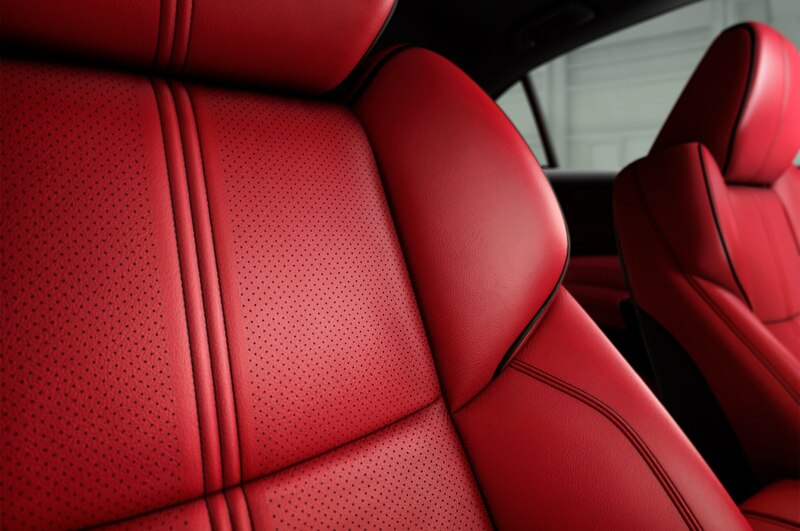 In the cabin, the TLX A-Spec is offered with a choice of two exclusive interior schemes: black with Alcantara, and red leather. 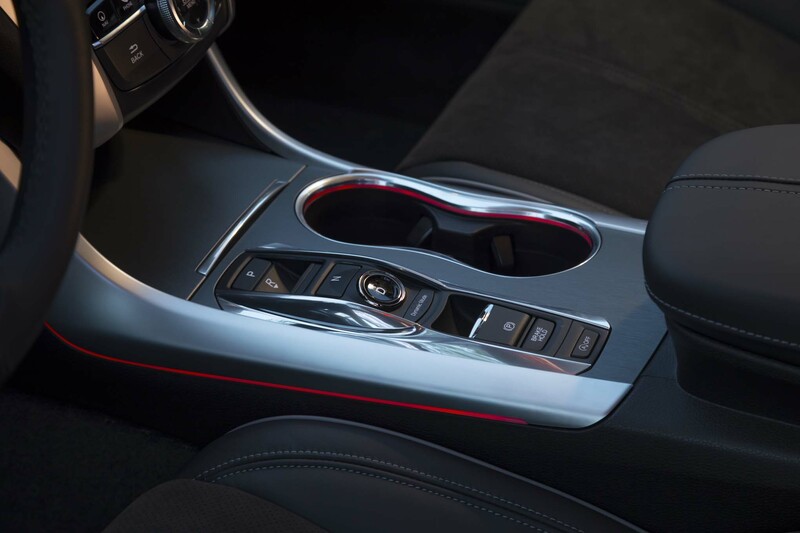 All of the cars on hand had the black interior, which projects more of an athletic aura. 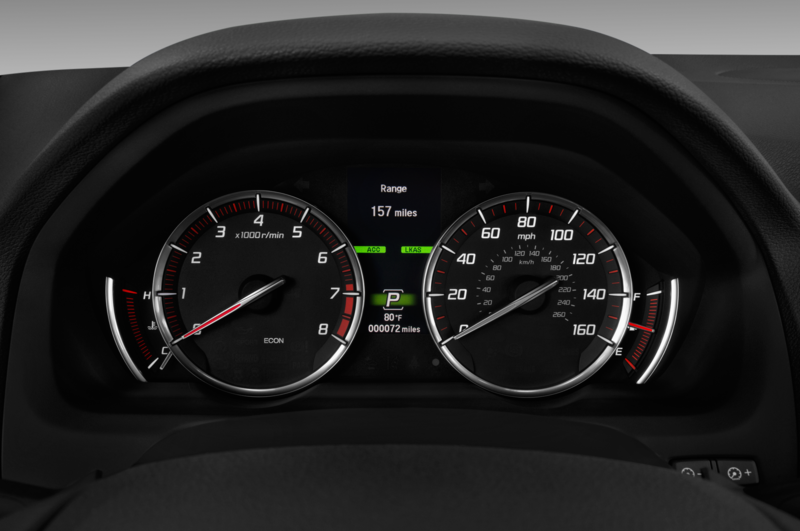 Unfortunately, none of that athleticism is transferred over to the dash, which is lacking in flair. 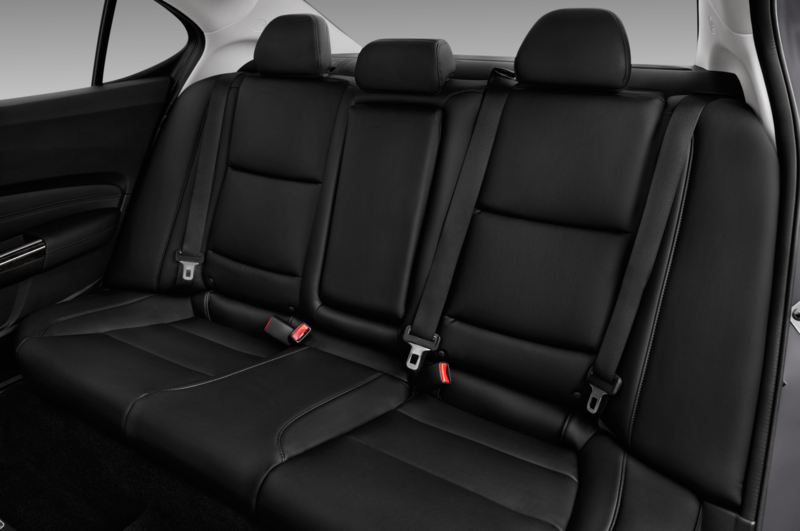 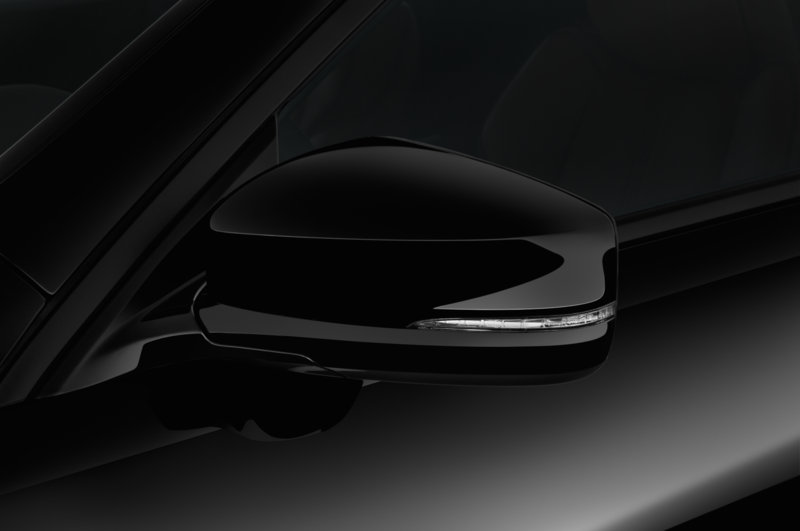 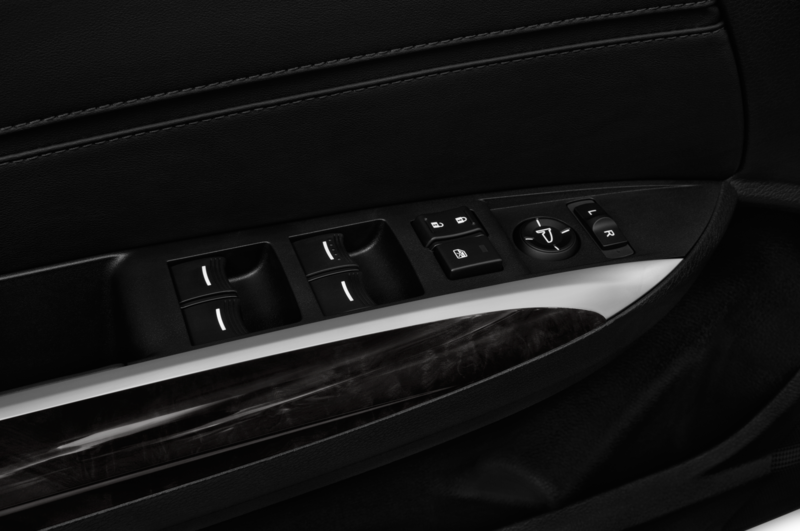 In particular, the large slab of black in front of the passenger brings down the ambiance of the entire space. 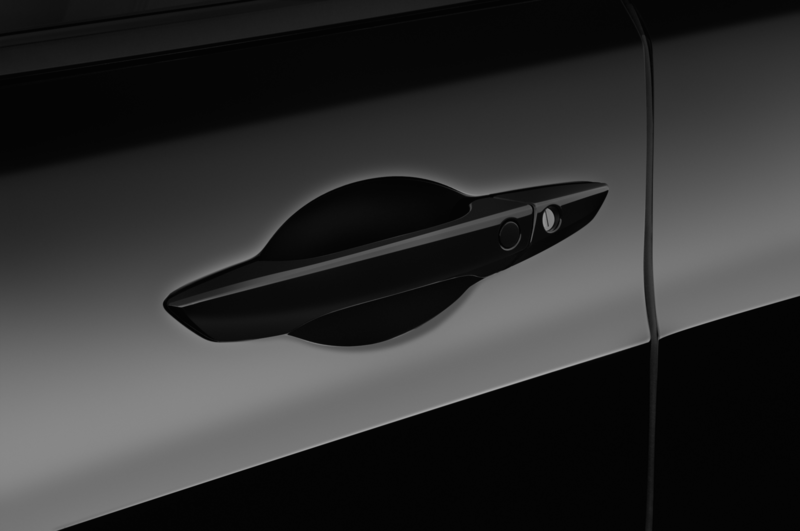 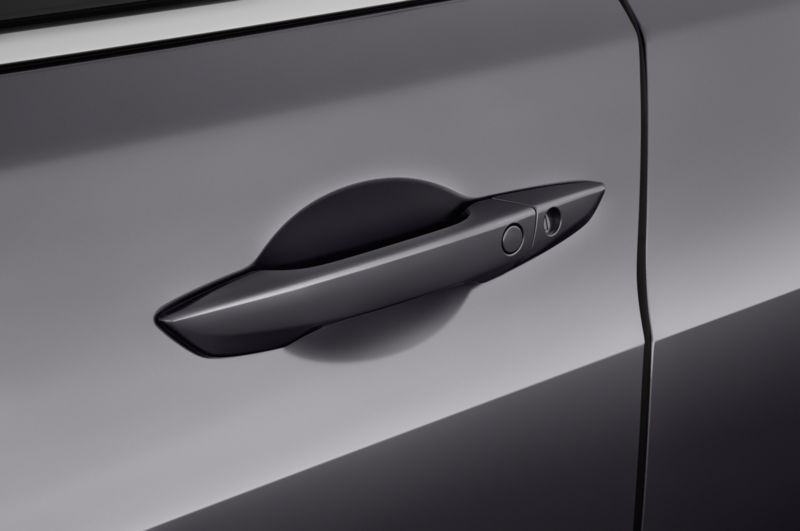 Also, curiously, the door panel inserts are surprisingly hard, as if they’re attached directly to the panel without any padding. 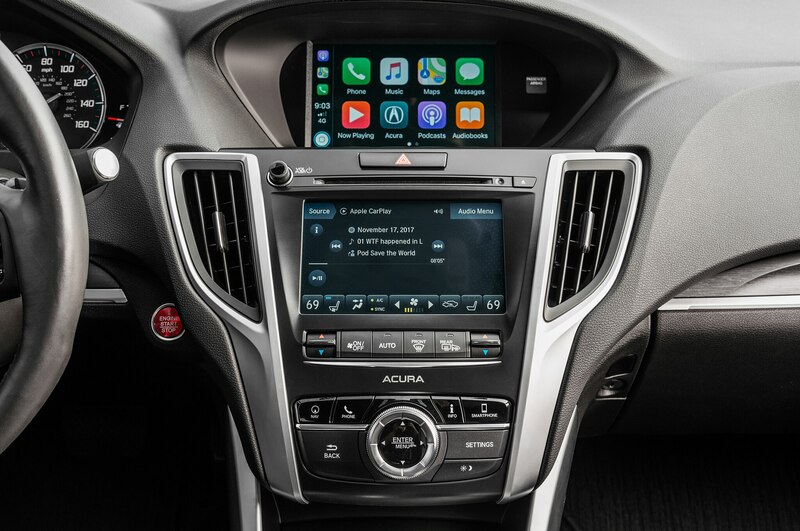 On the plus side of the ledger is the 2018 TLX’s infotainment system. 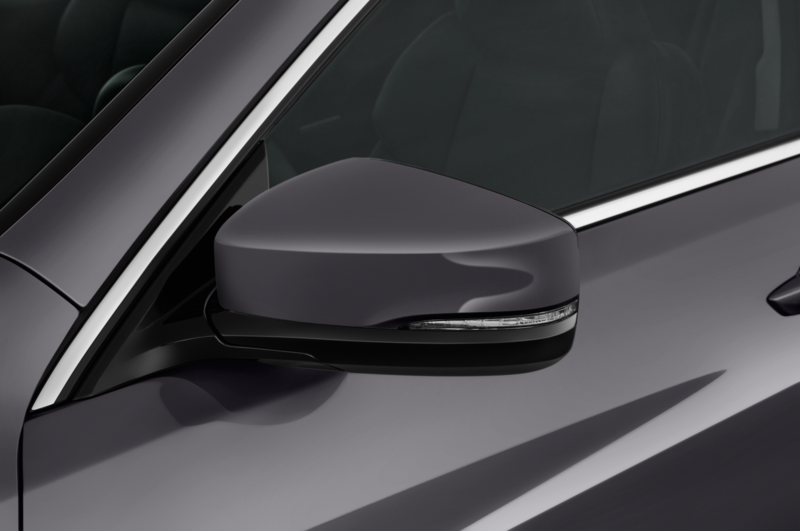 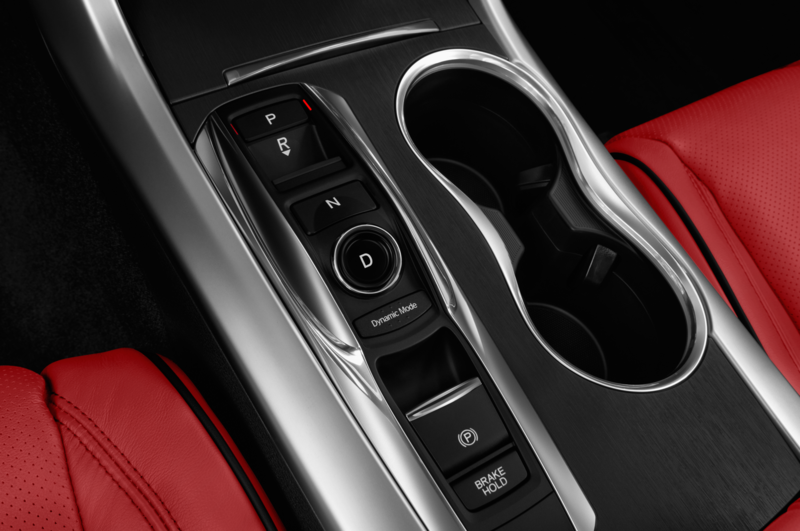 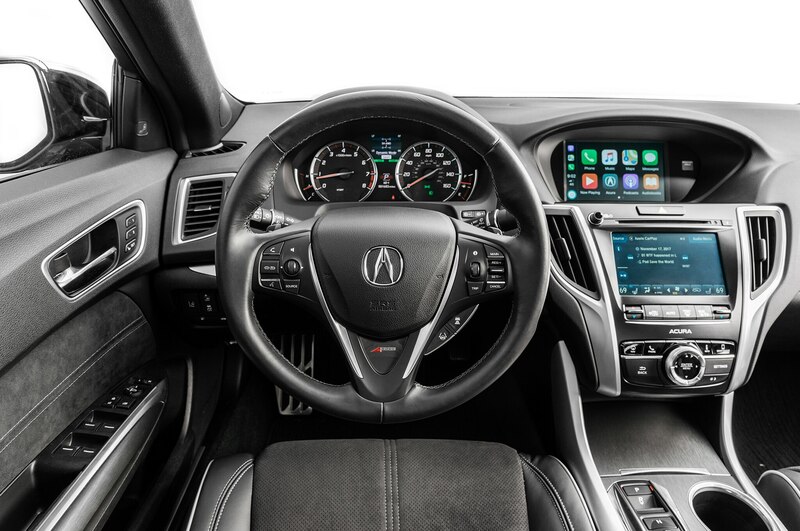 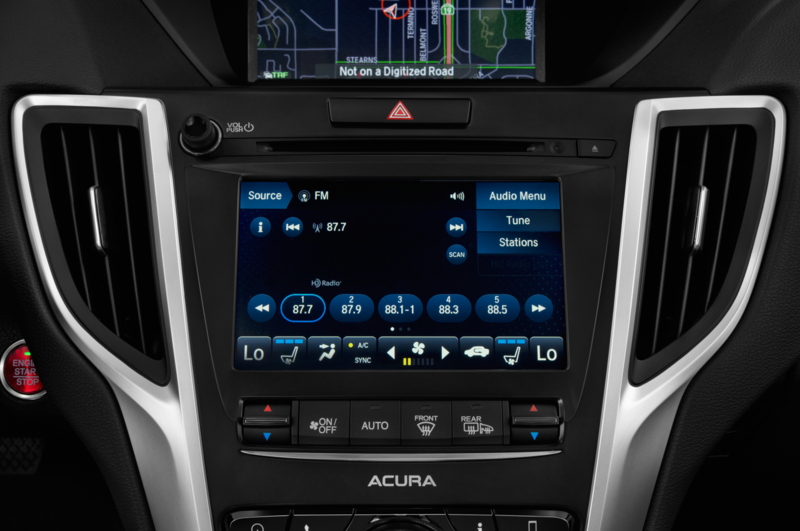 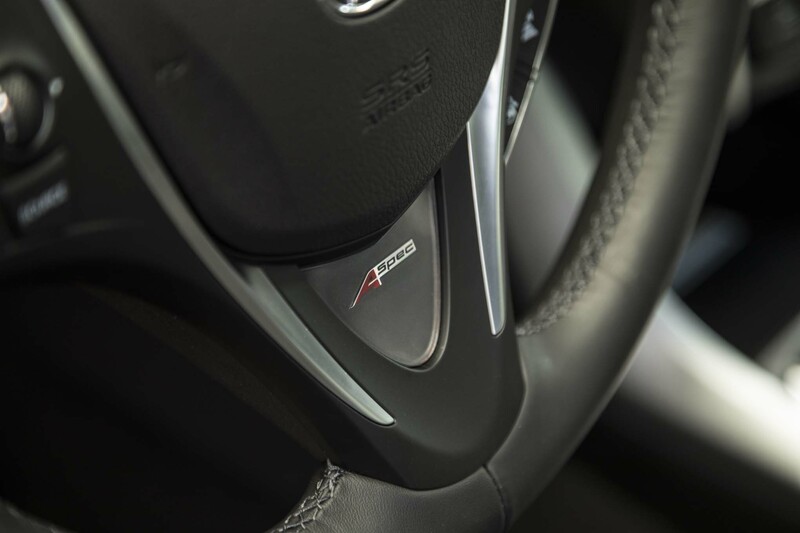 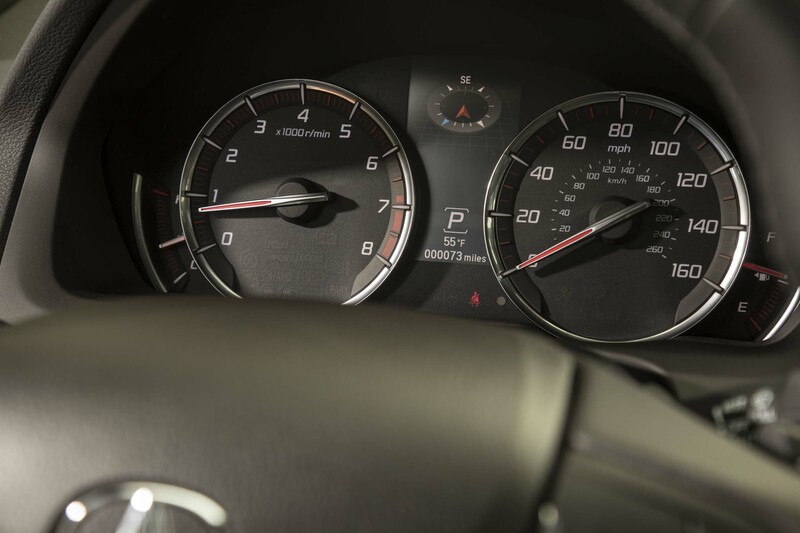 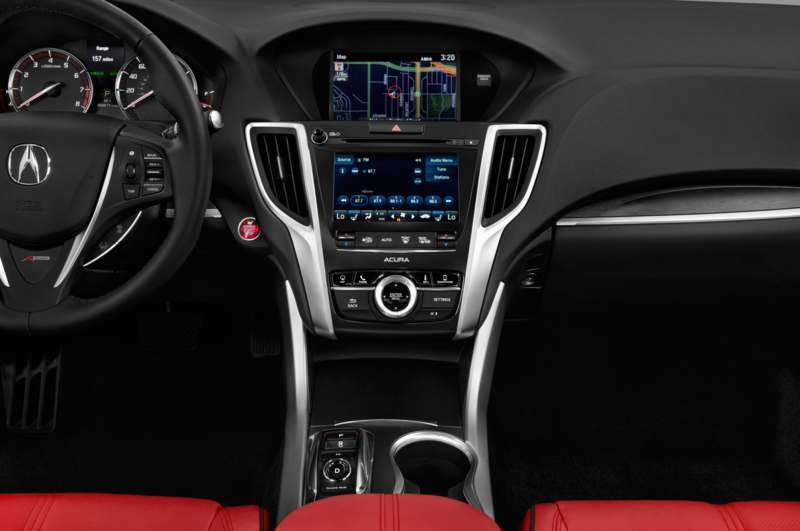 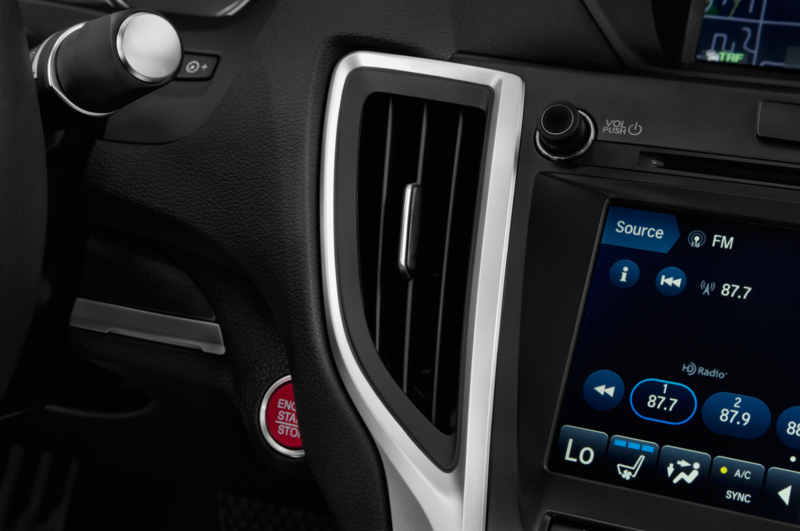 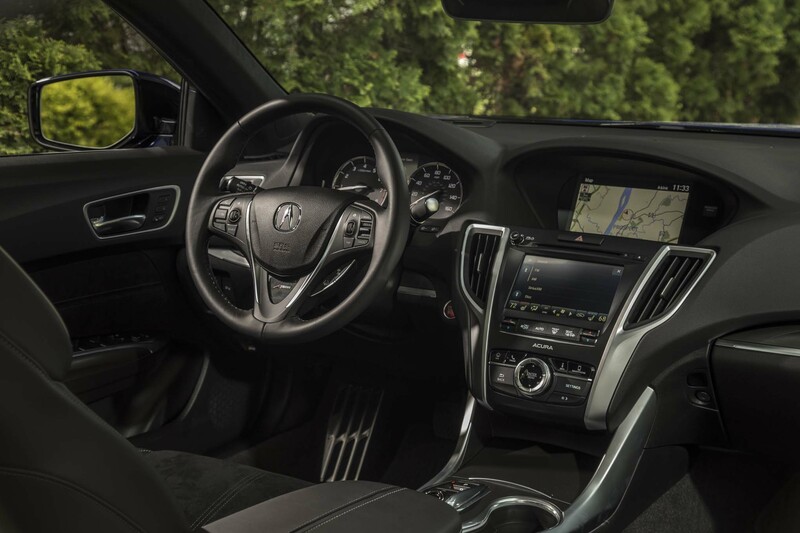 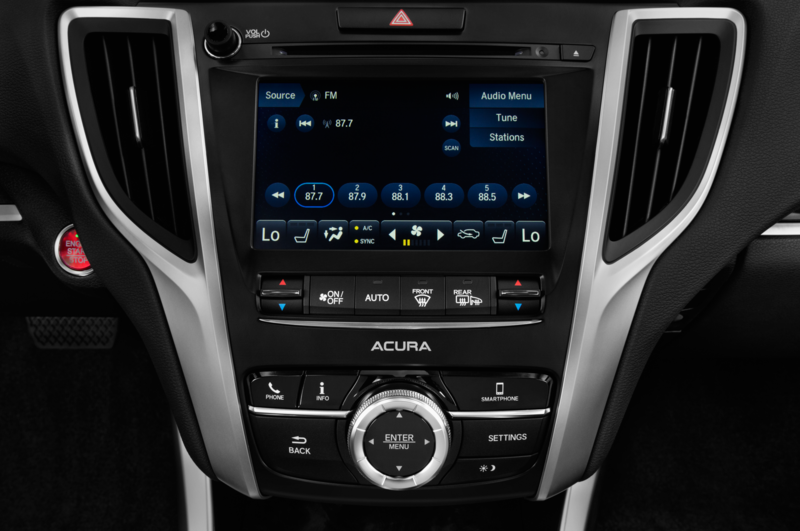 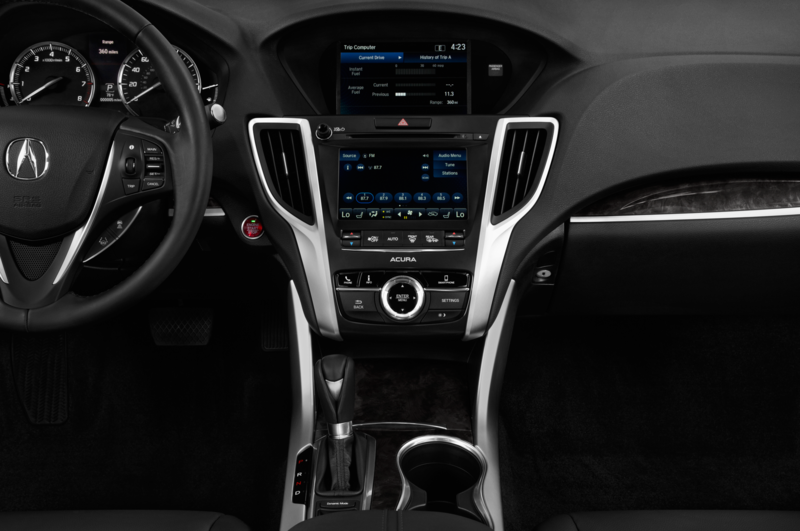 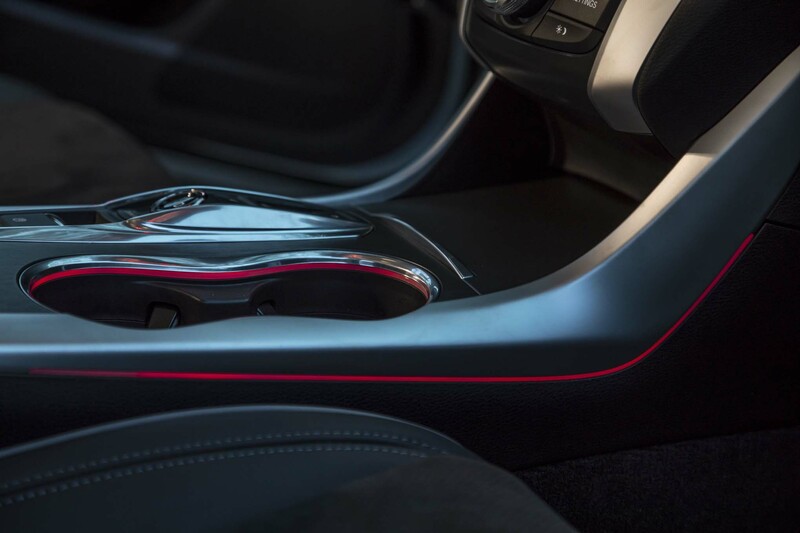 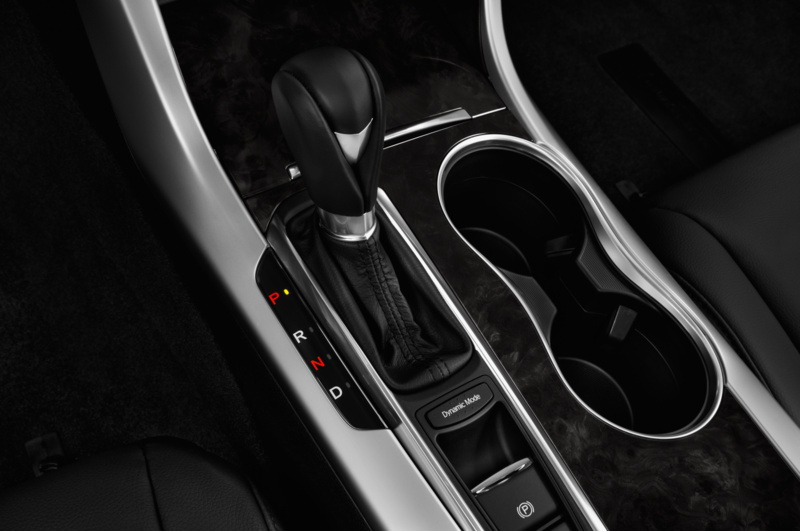 It features better hardware behind the scenes and is the first to use Acura’s new capacitive touch screen and an easier-to-navigate menu structure. 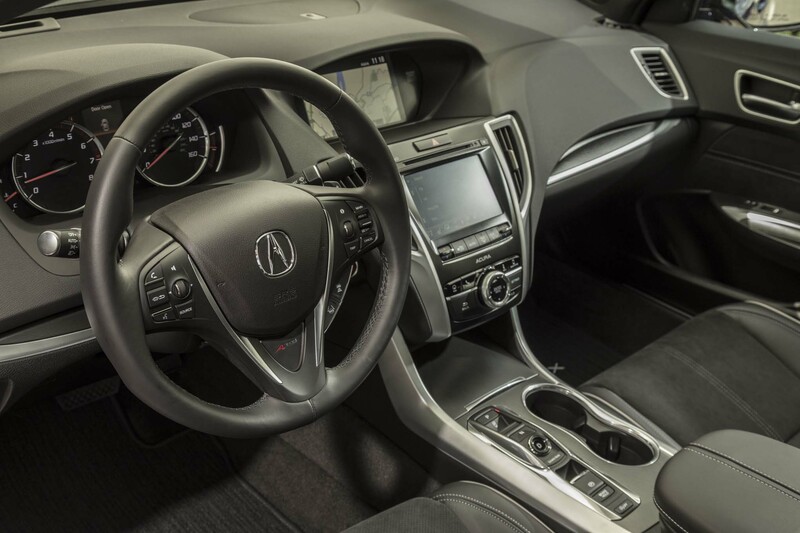 The A-Spec’s thicker steering wheel that’s more satisfying to hold and more in tune with the car’s sporting intentions than the unit in the TLX Advance I sampled. 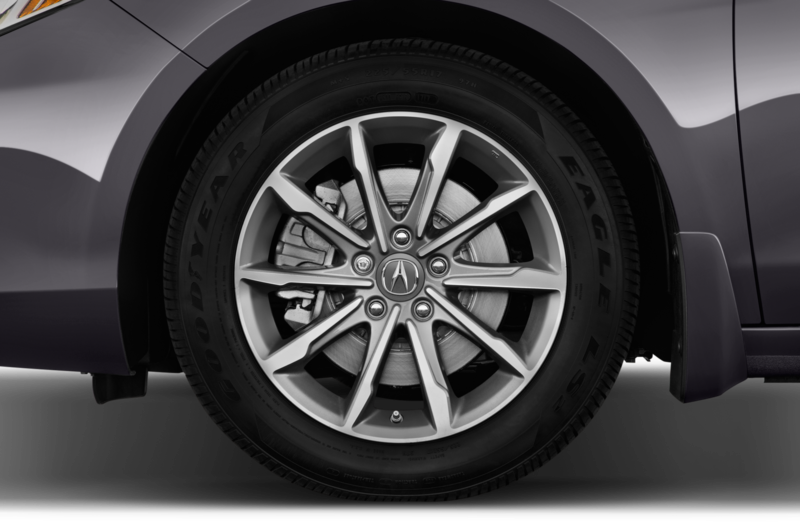 Turning the wheel is more smile-inducing as well thanks to somewhat increased resistance and noticeably improved turn-in. 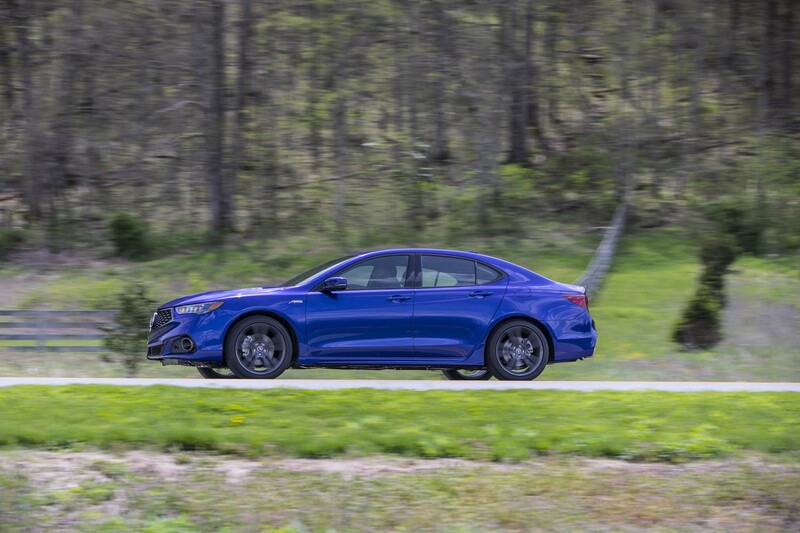 The A-Spec felt slightly more planted and balanced along the mellow turns of the Ohio River Scenic Byway, as did my torso thanks to the stronger bolsters in the A-Spec’s sport seats. 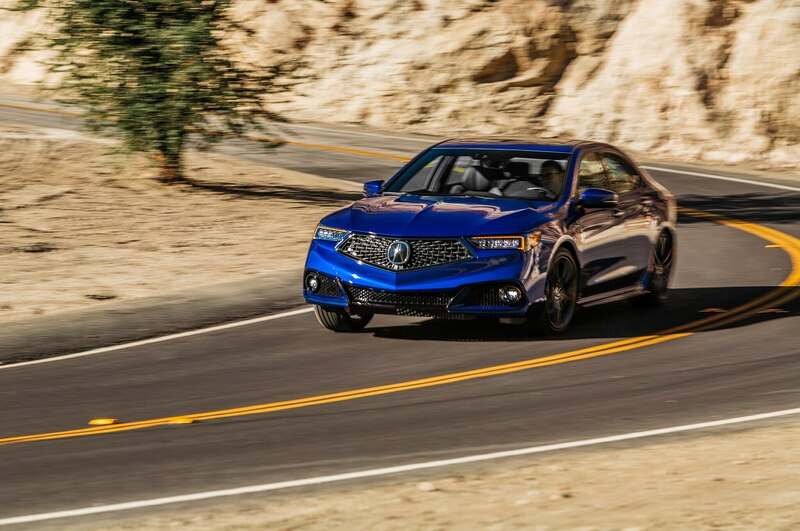 How much of that handling improvement is due to the small bumps in spring rate and anti-roll bar stiffness and how much is due to the A-Spec’s larger and stickier 245/40R19 Michelin Primacy MXM4 all-seasons is known only to Acura’s engineers. 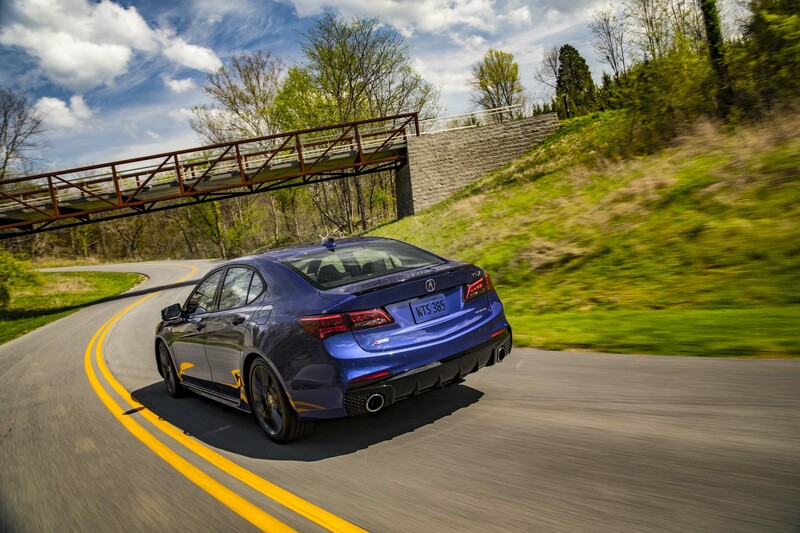 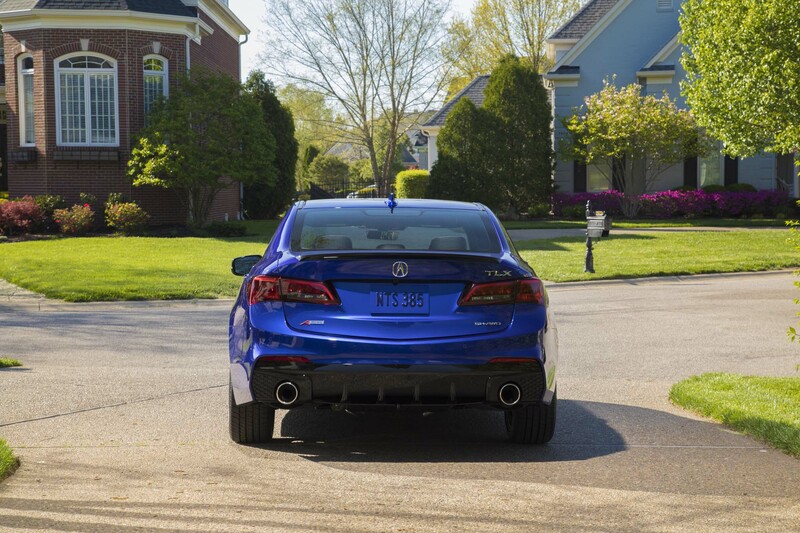 There’s a downside to the new rubber, though, as there’s noticeably more tire noise in the TLX A-Spec. 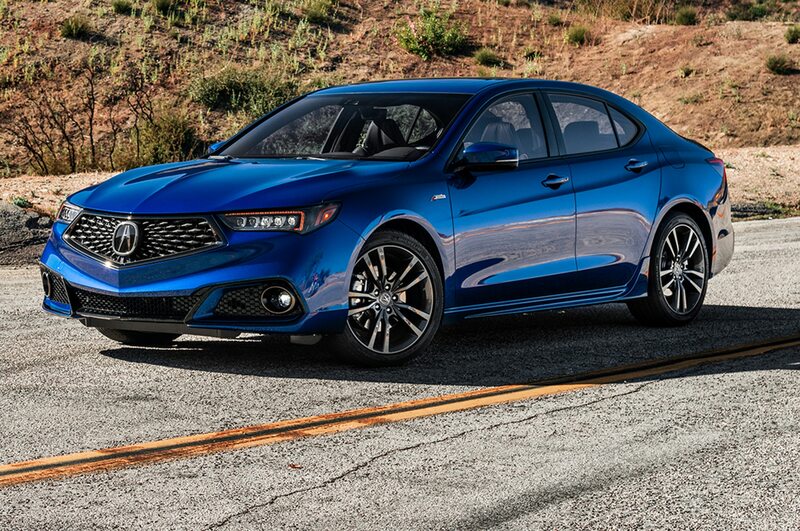 Unsurprisingly, it rides rougher than its TLX brethren as a result. 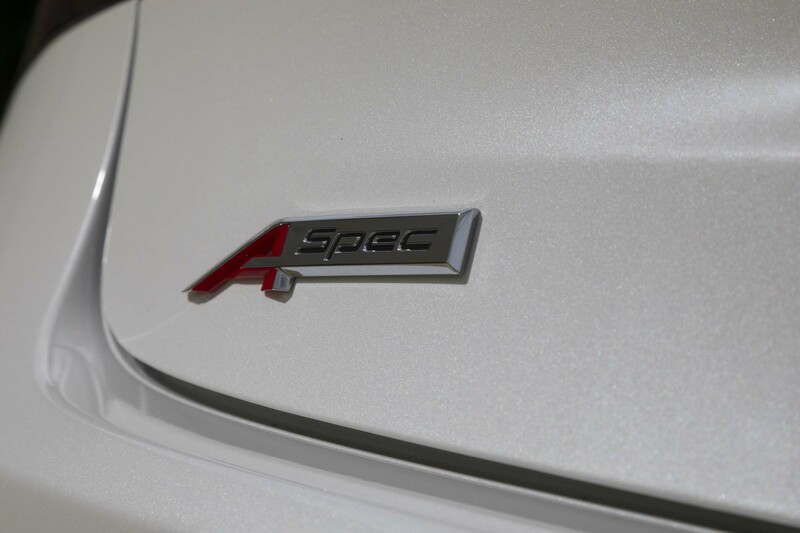 The A-Spec also has to make do without certain tech and luxury features thanks to Honda’s aversion to option packages. 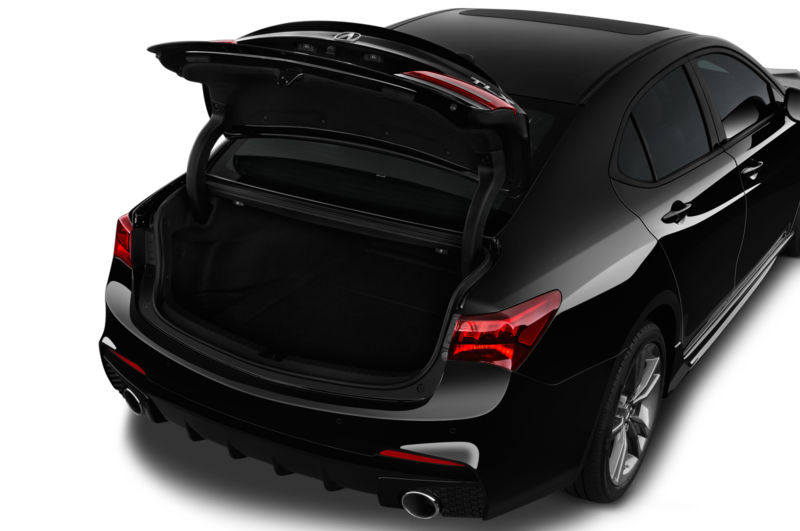 Goodies not available for the A-Spec include a surround view camera, heated rear seats, heated steering wheel, and heated windshield. 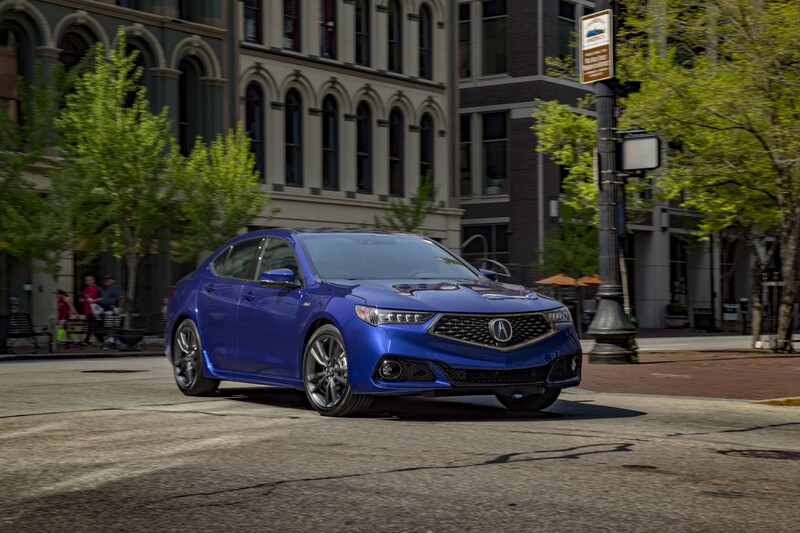 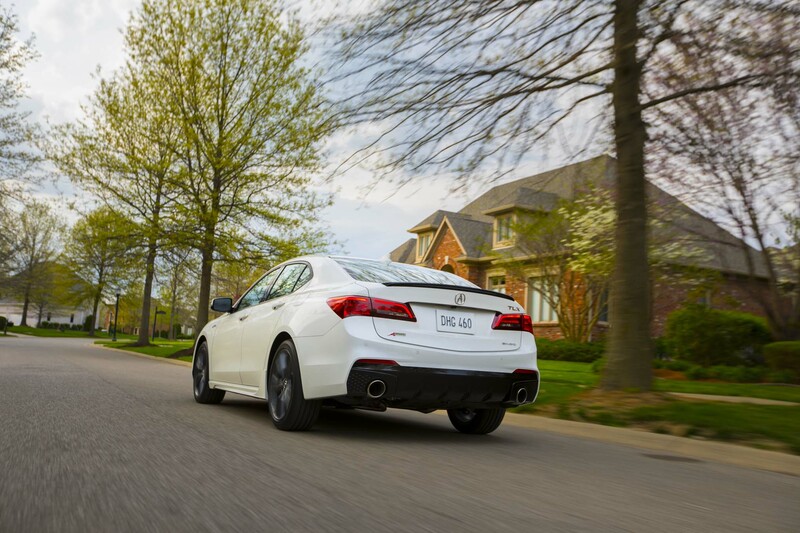 Still, the A-Spec is otherwise well-equipped and from an enthusiast perspective at least is the most compelling member of the TLX stable. 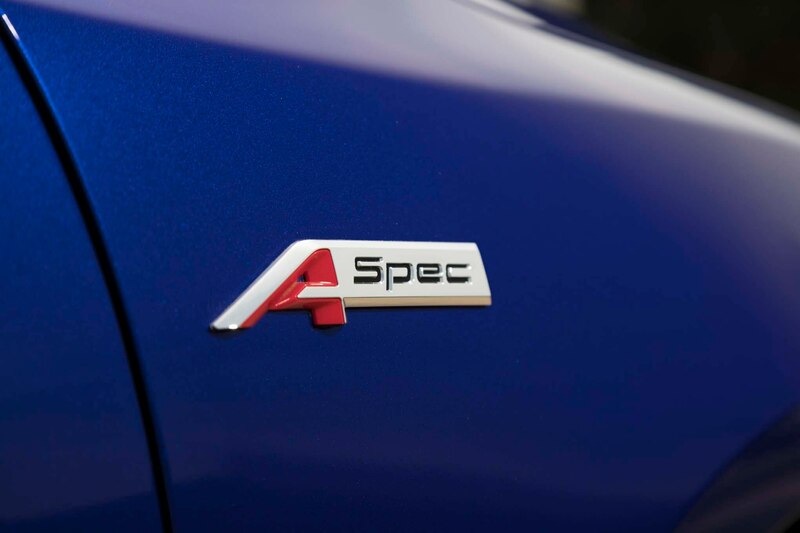 However, with its $45,750 price tag, the AWD A-Spec is swimming in seriously shark-infested waters (the FWD A-Spec starts at $43,750, but the idea feels as pointless as a FWD Audi S-line). 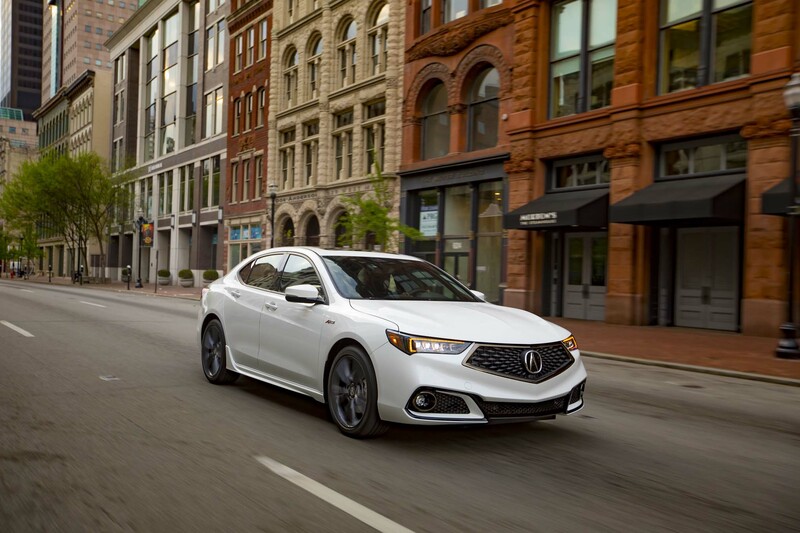 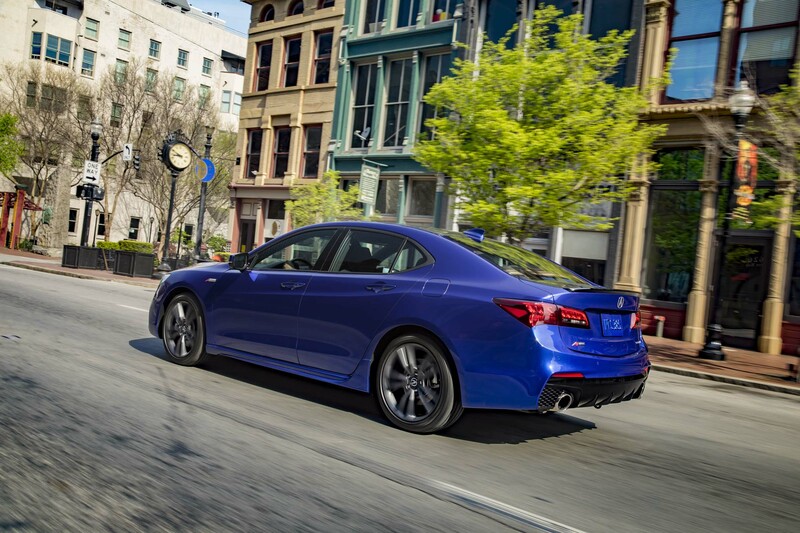 Yes, it’s a sharper version of the TLX, which makes it a better upgrade option for upwardly mobile, enthusiastic V-6 Accord owners, but doesn’t necessarily make it any more likely to peel sales away from, say, the Germans. 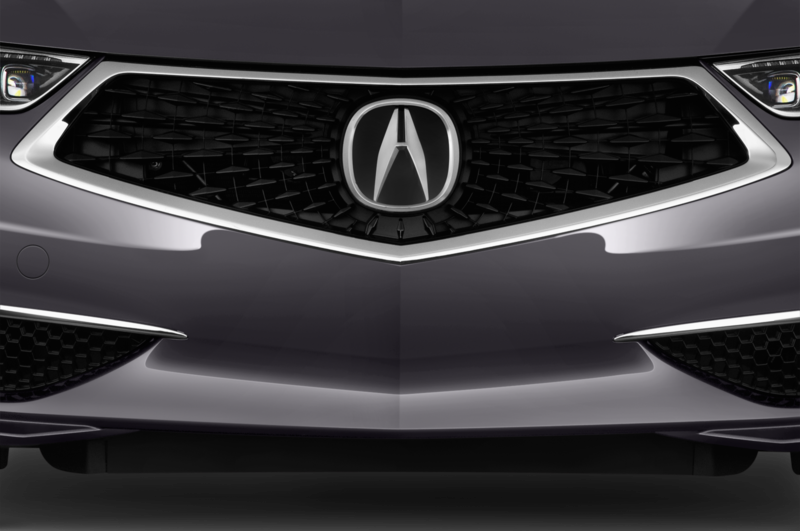 But as is the case with halo cars like the NSX, there are other things at stake than incremental volume. 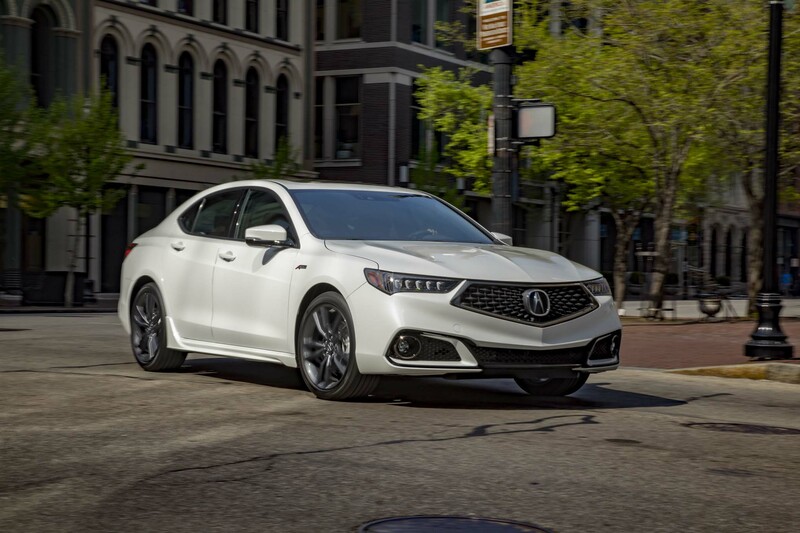 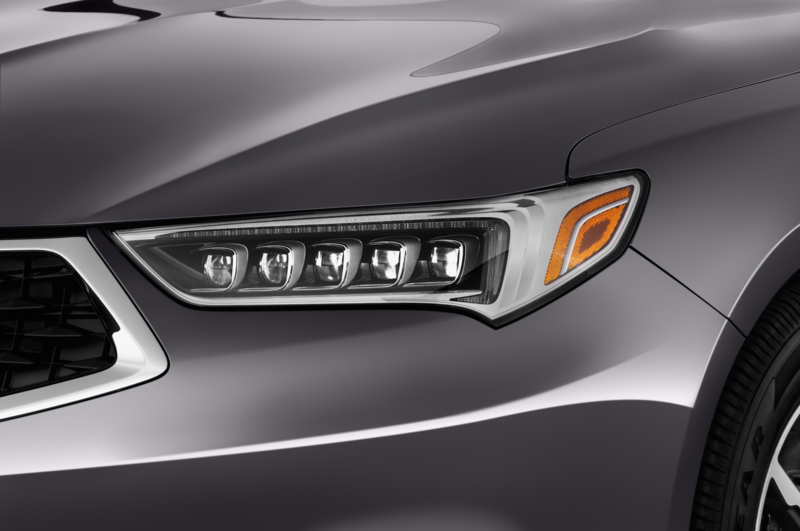 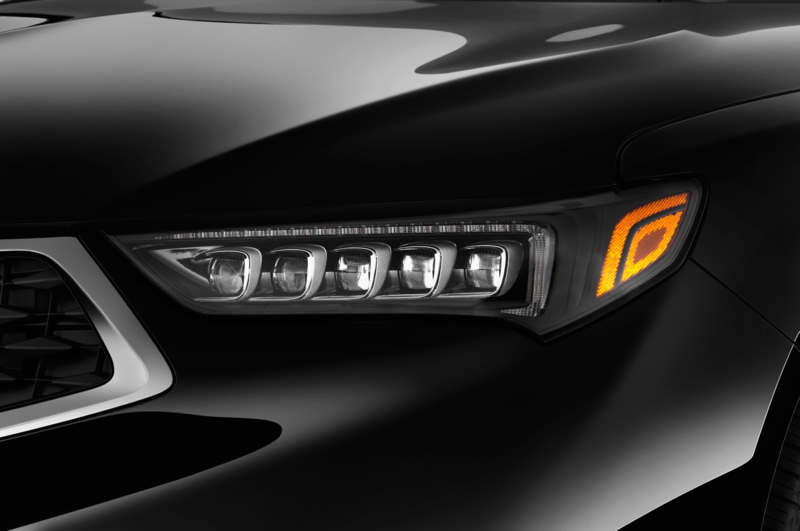 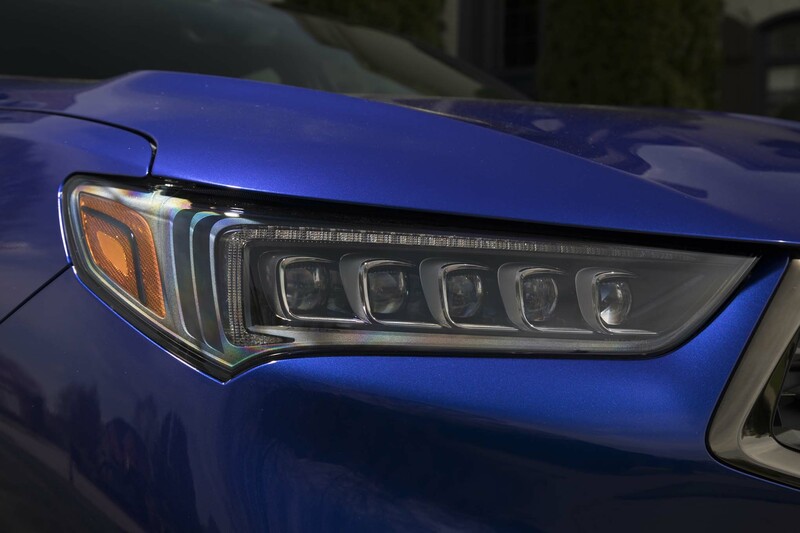 As important, if not more so, is the signal cars like the 2018 TLX A-Spec send to the market that Acura is serious about moving in a performance-oriented direction. 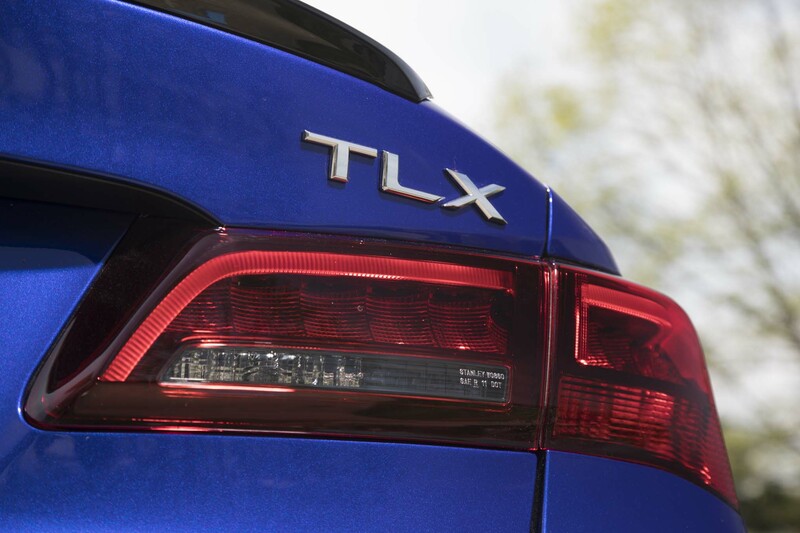 The key now will be to follow up with future product that truly underscores that — a TLX Sport Hybrid or TLX Type S if you will. 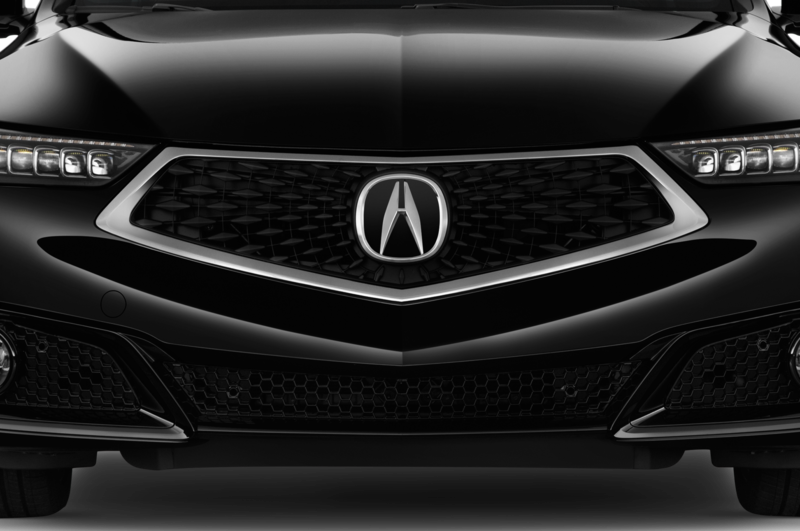 While every person on hand with an Acura business card in Louisville stayed properly mum, it’s a logical development — one supported by various winks and nudges. 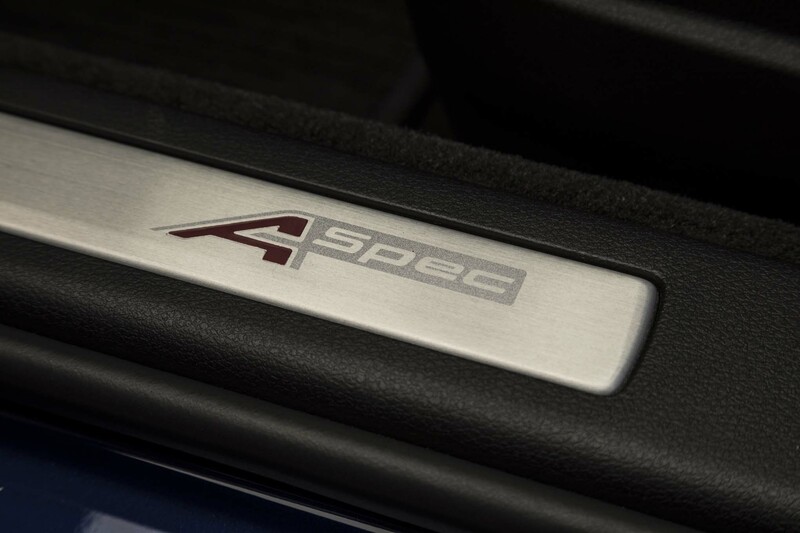 If one is, in fact, being worked on, learnings from the A-Spec will no doubt help engineers get it right.